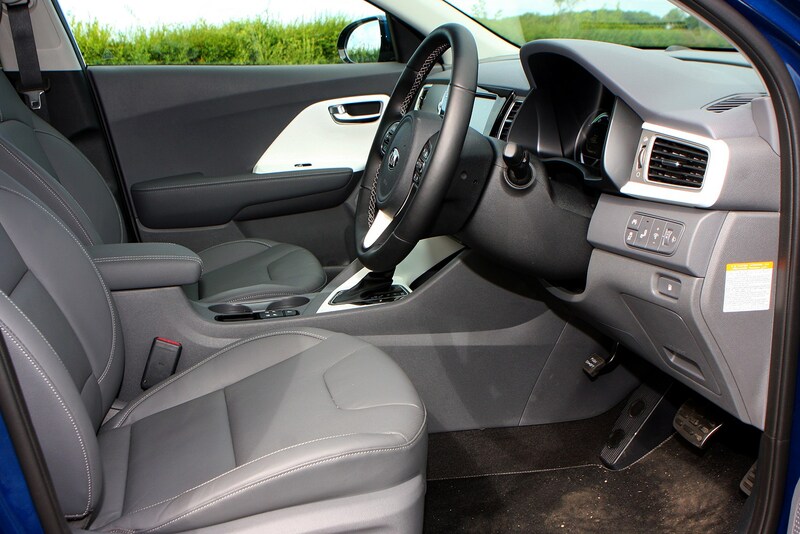 Insurance group: 12 - 14 How much is it to insure? 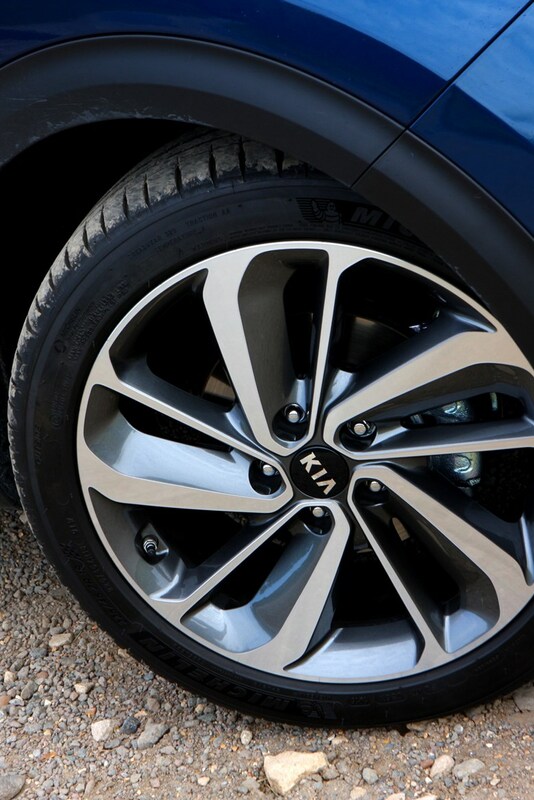 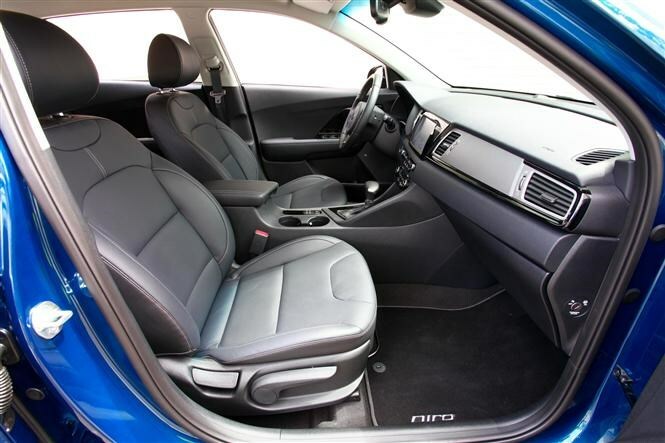 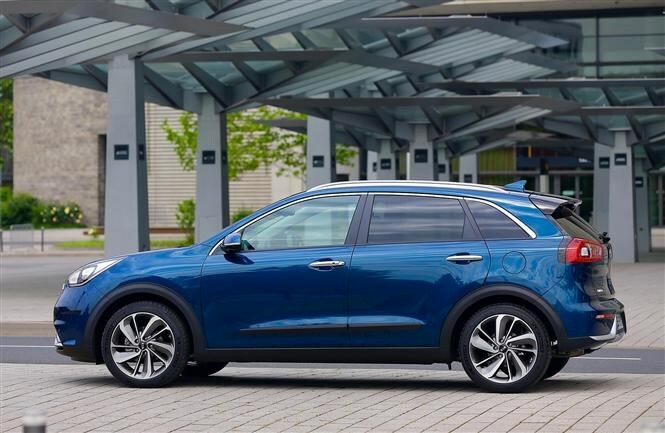 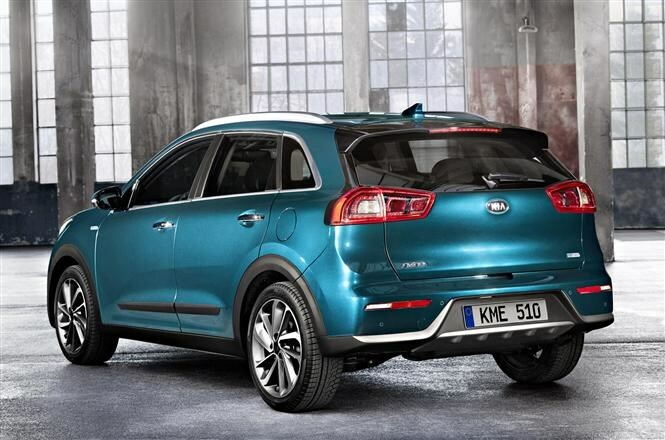 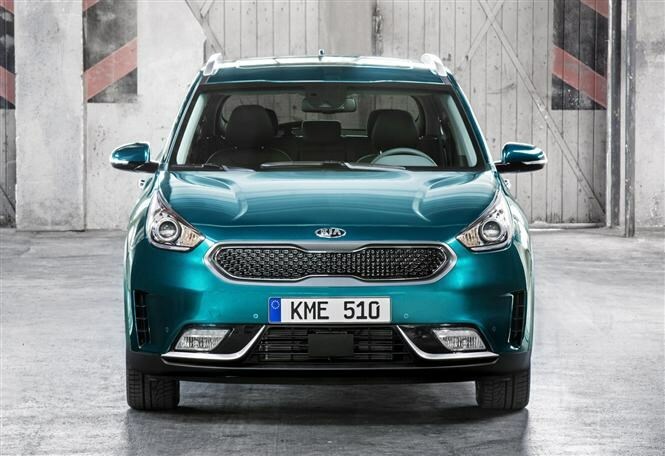 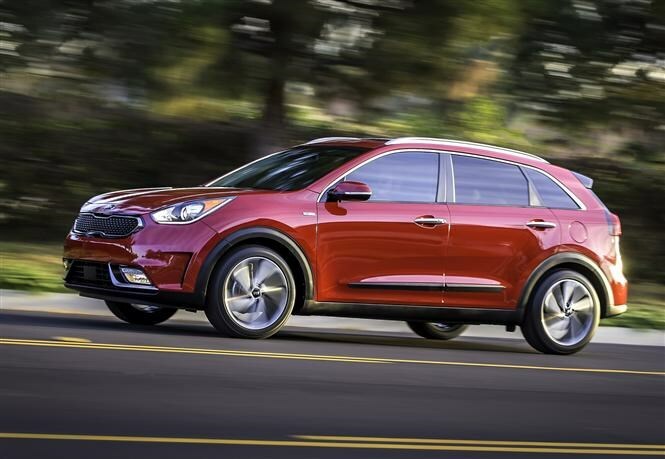 The Kia Niro is a compact SUV that offers buyers a trio of powertrain options – hybrid, plug-in hybrid and pure electric – just like the car it shares its platform with: the Hyundai Ioniq. 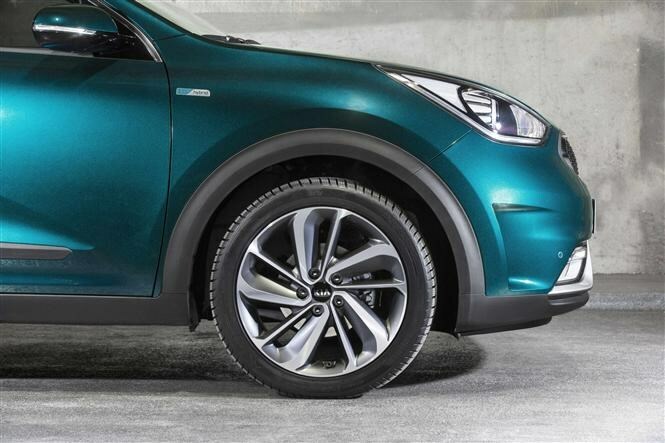 It’s with that in mind that the Niro’s alternatives are cars like the hybrid Toyota C-HR and the pure electric VW e-Golf and Nissan’s Leaf. 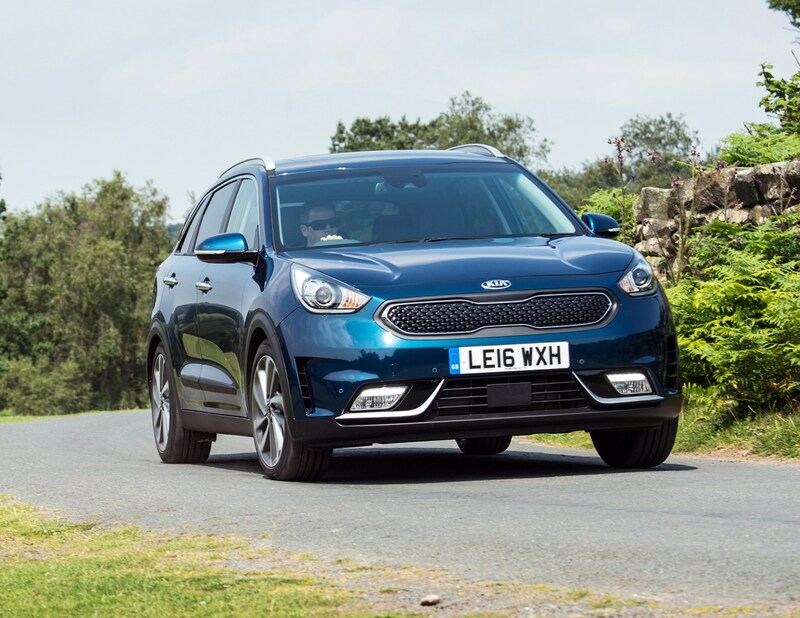 How big is the Kia Niro? 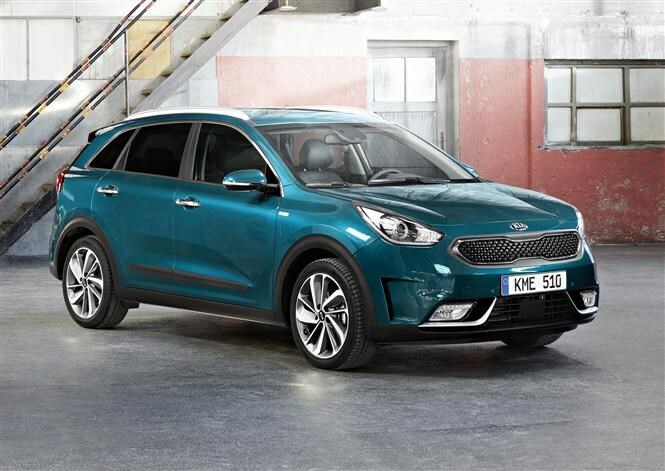 Size-wise, the Niro's a little harder to pigeonhole, falling somewhere between Ford Focus-sized hatchbacks and family SUVs. 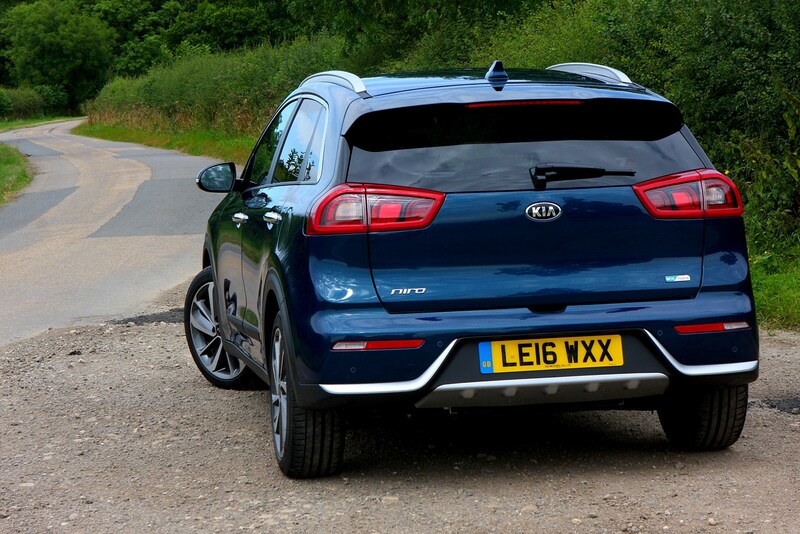 So, within s own Kia stable, it's a bit bigger than a Ceed and both shorter and lower than a Sportage. 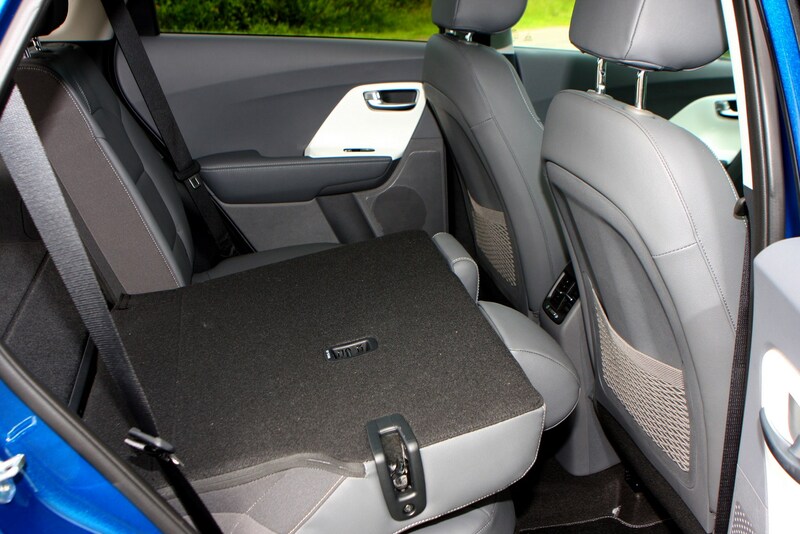 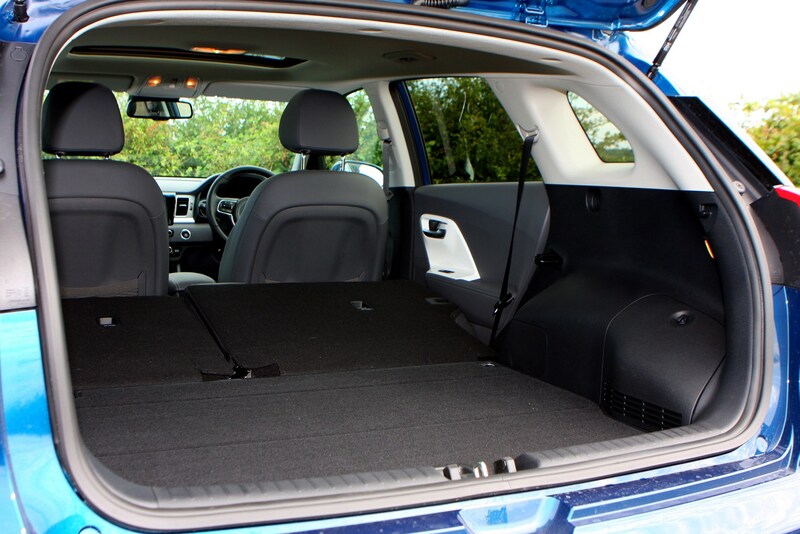 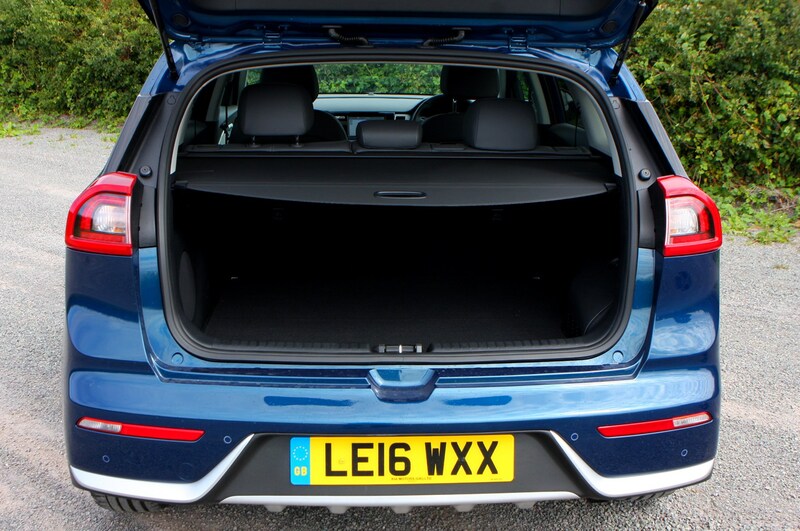 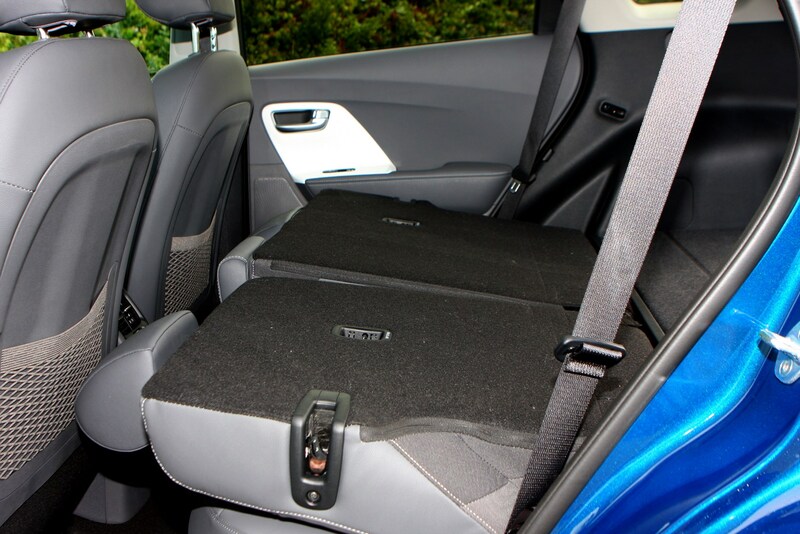 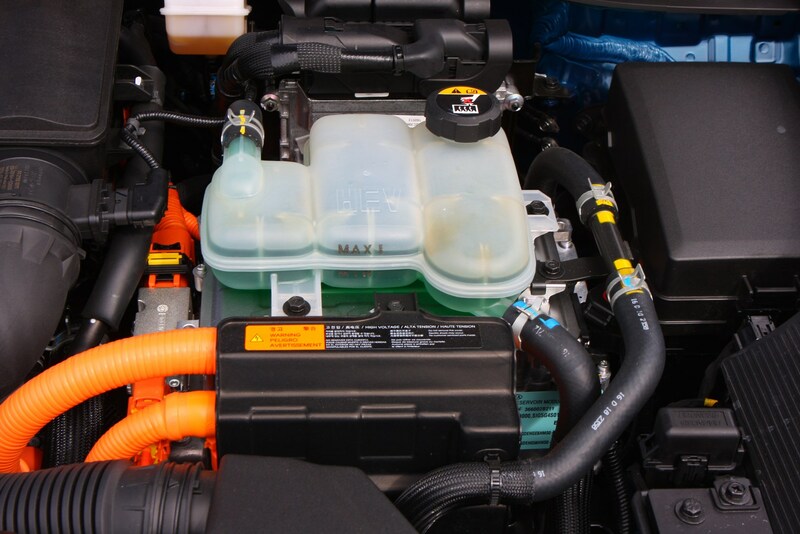 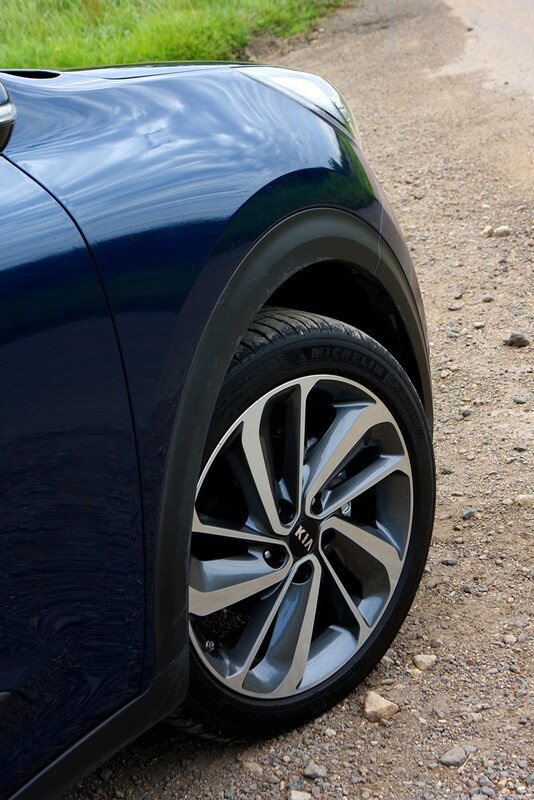 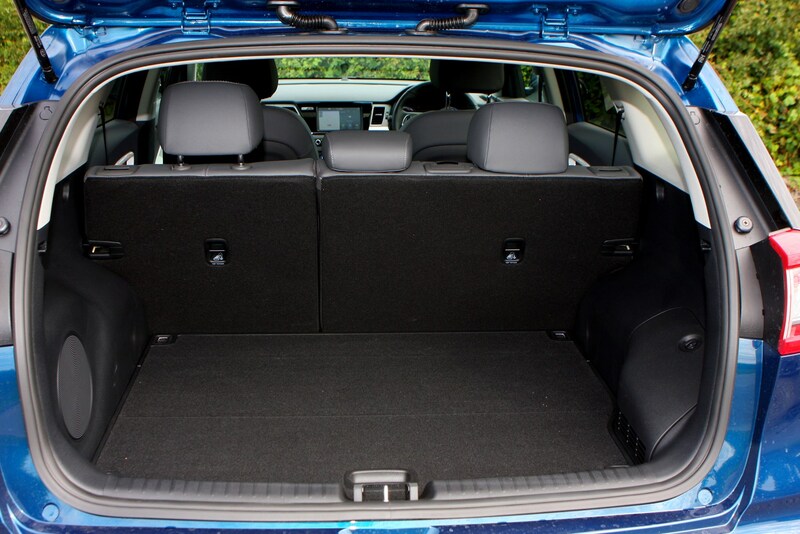 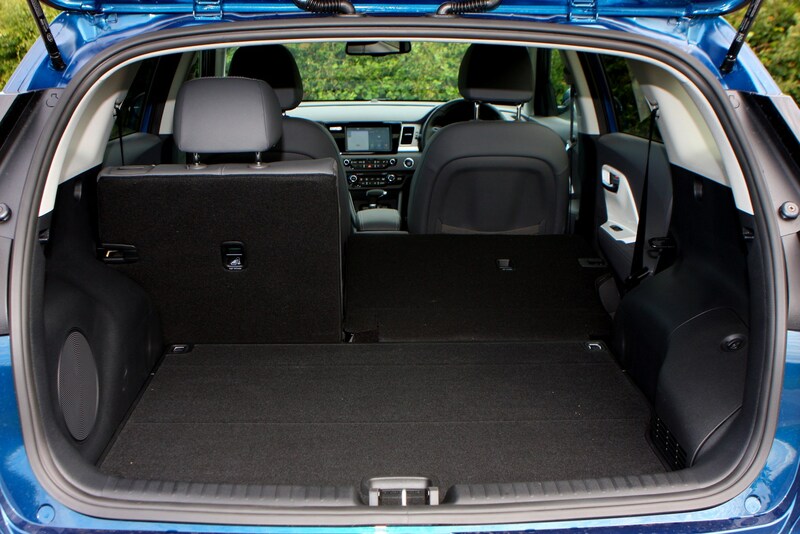 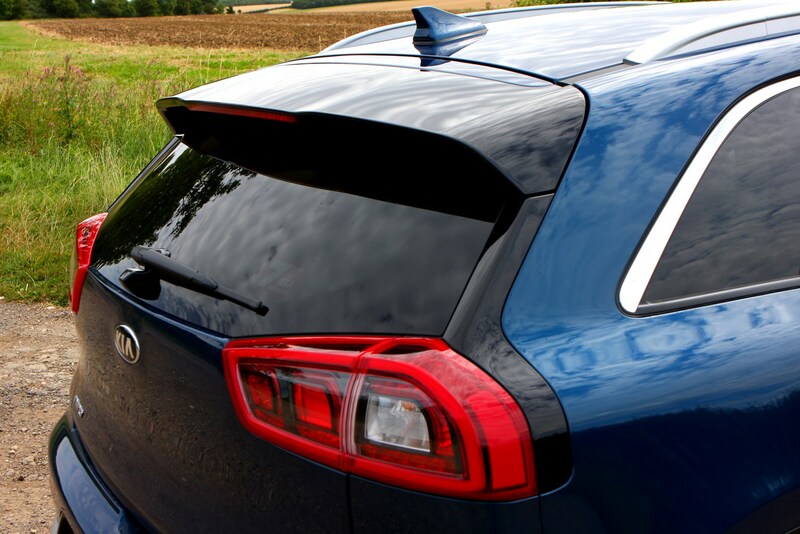 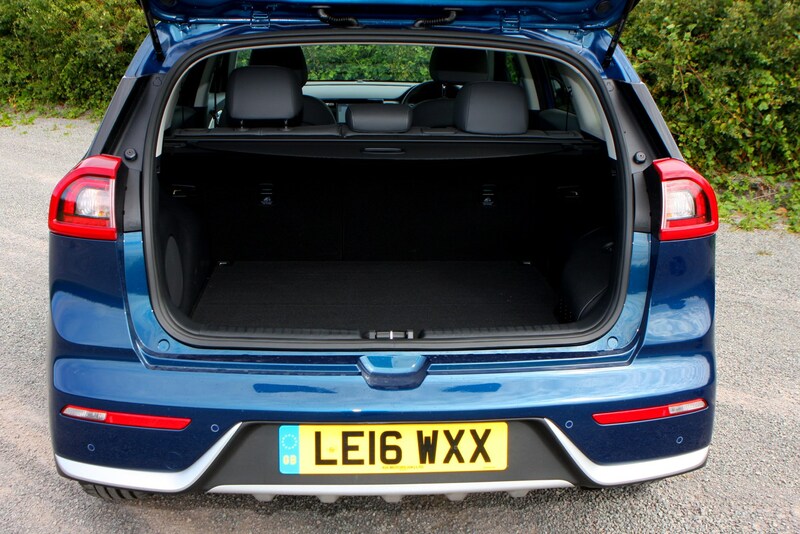 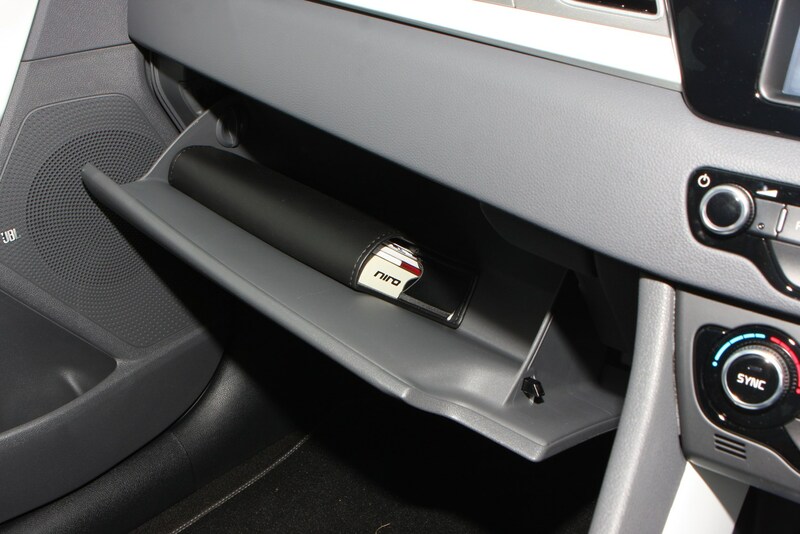 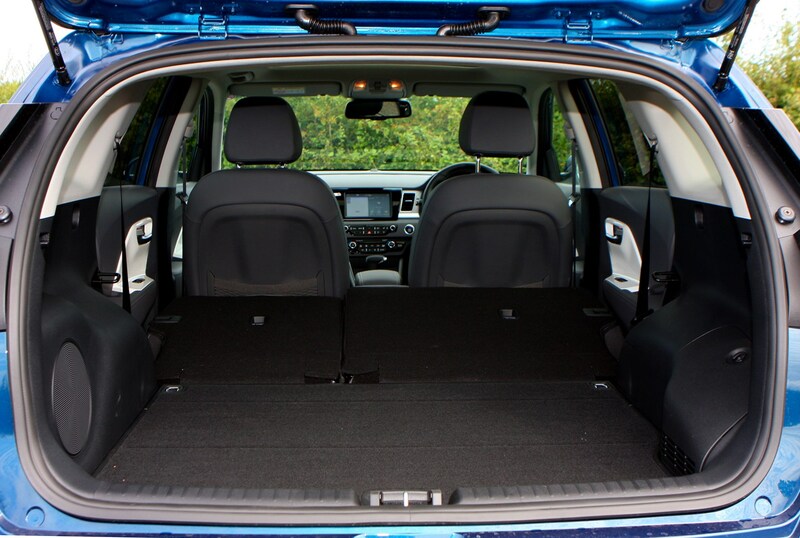 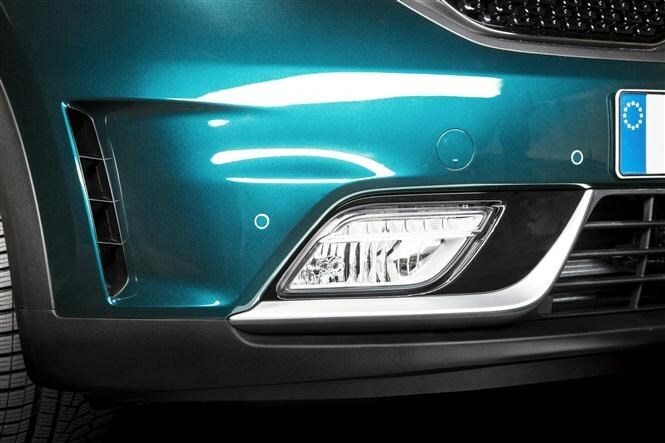 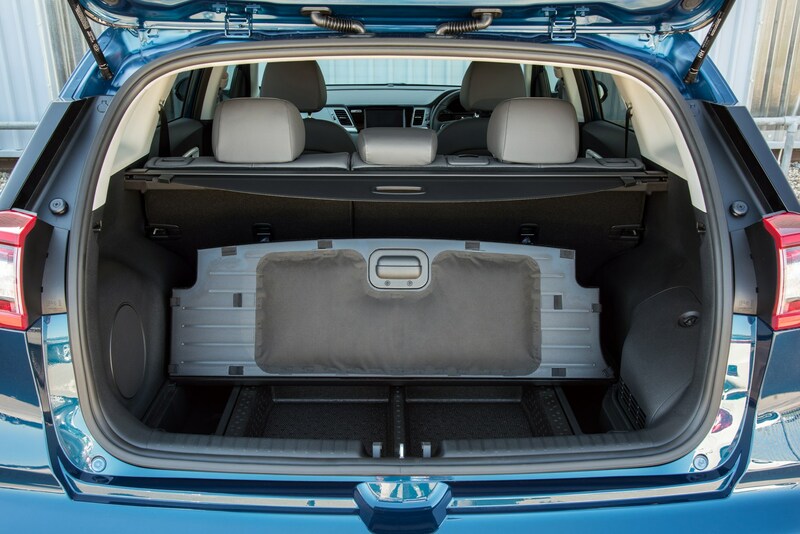 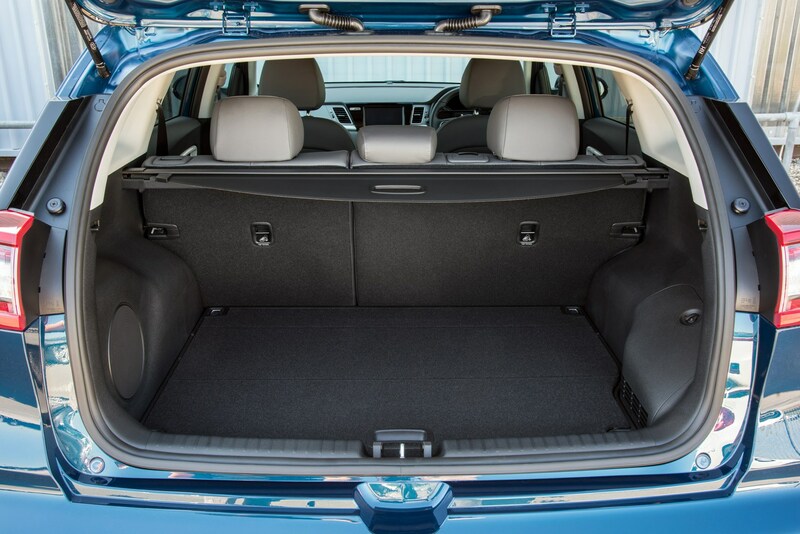 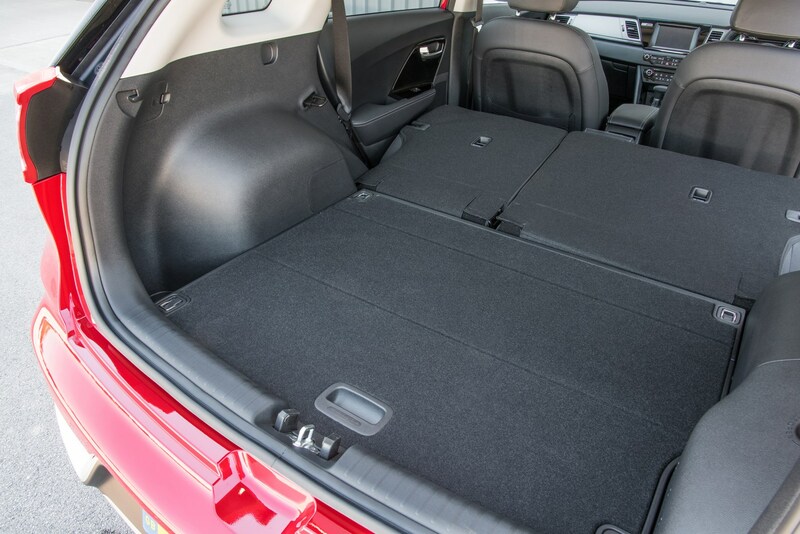 Its boot measures between 324 and 451 litres of volume depending on what your Niro is powered by. 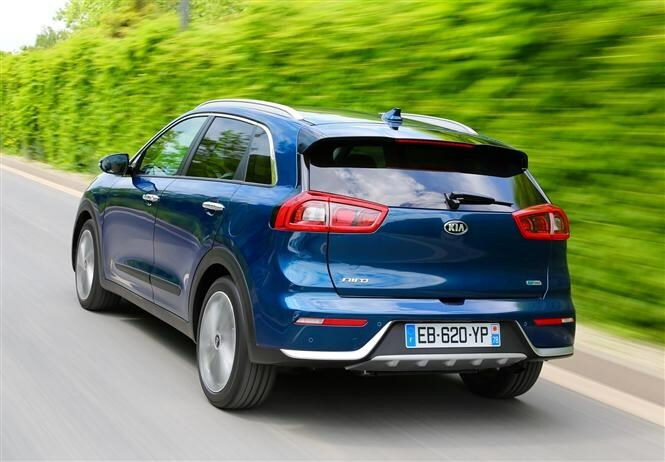 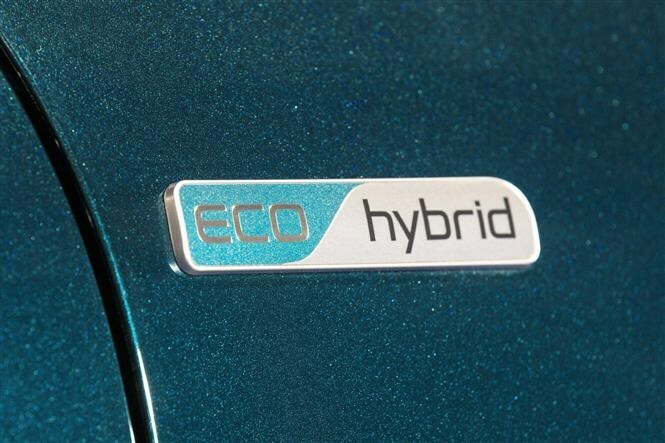 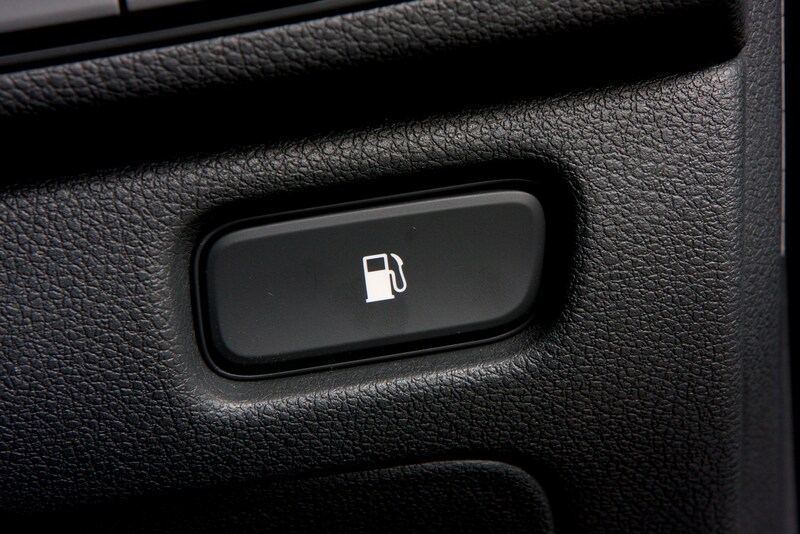 The smallest figure relates to the plug-in hybrid (PHEV) model, whereas the hybrid get 382 litres and the E-Niro – the all-electric version – gets 451. 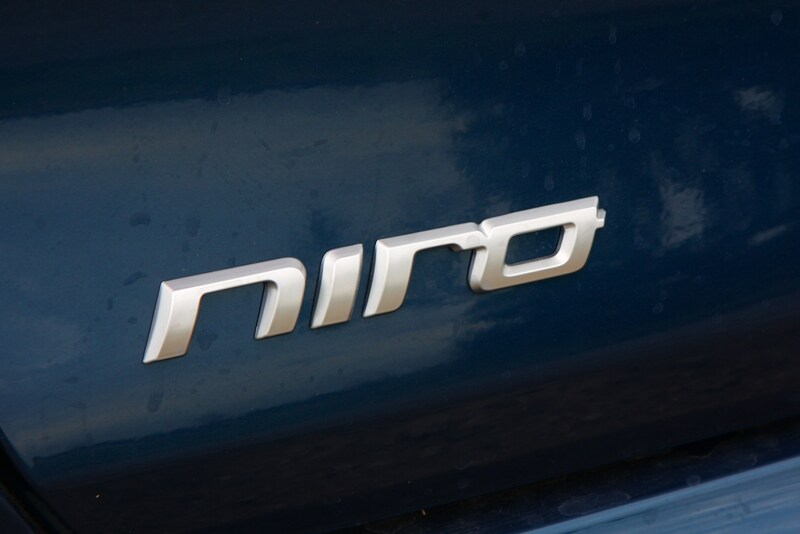 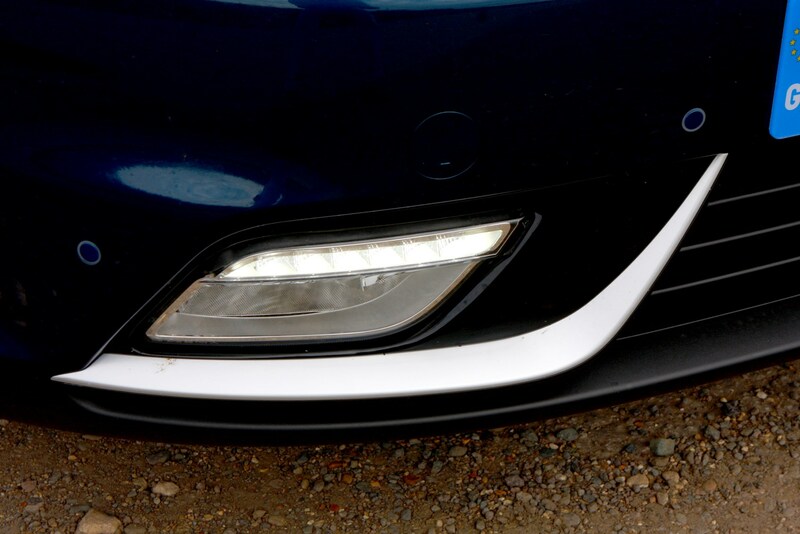 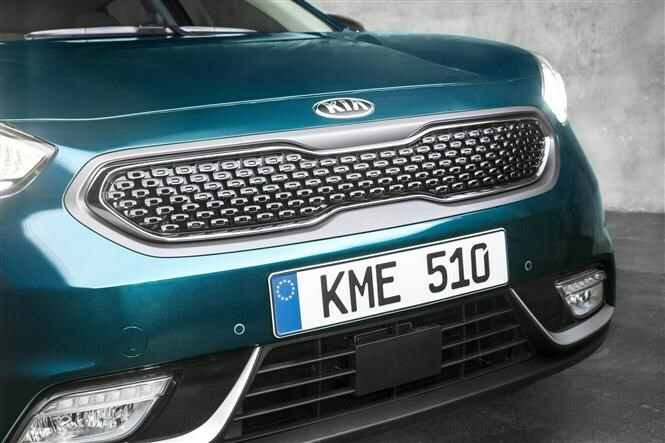 Just like the Ioniq, you can have one of three flavours of Niro. 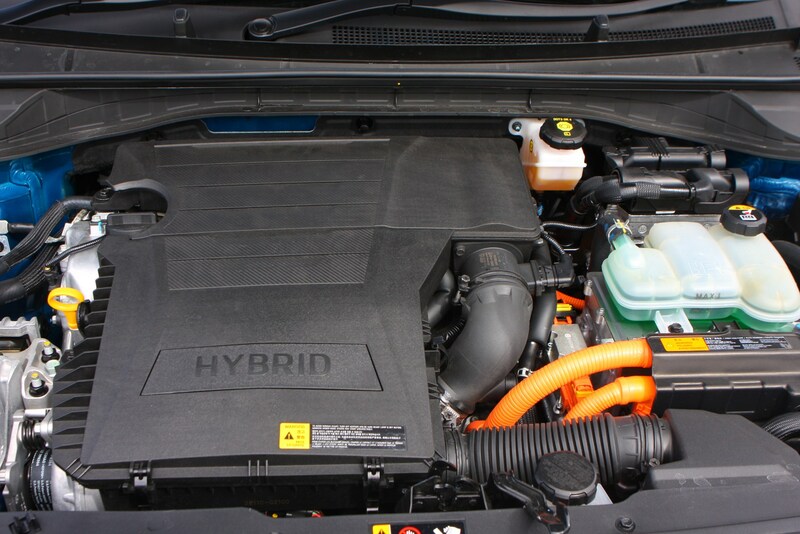 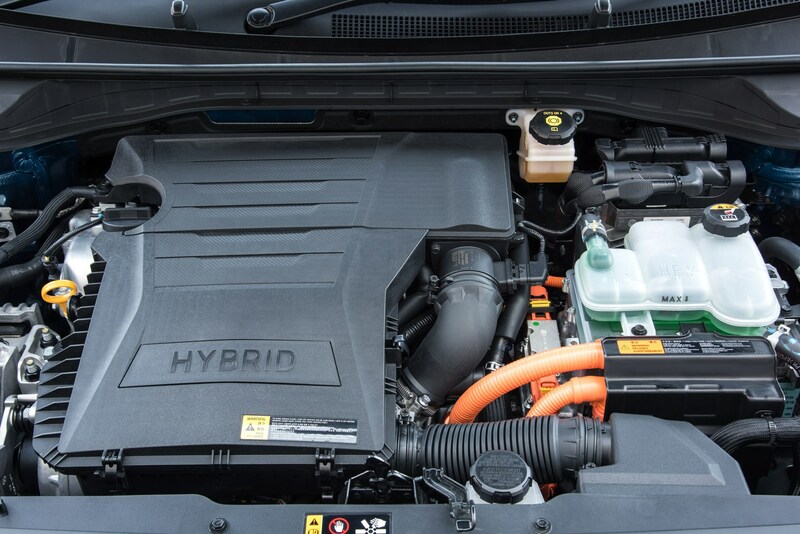 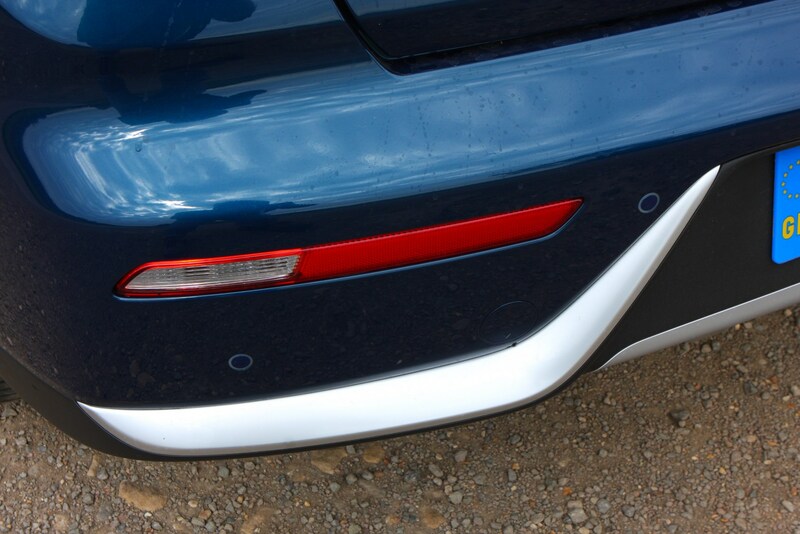 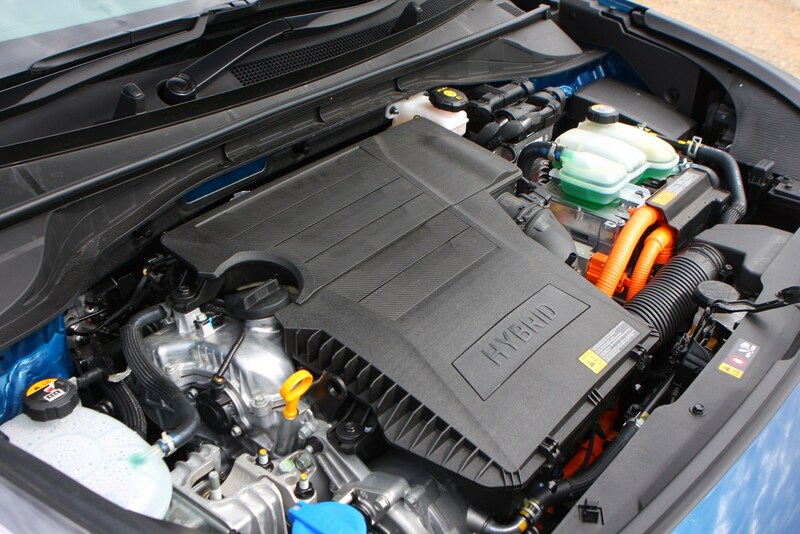 The first to mention was the slef-charging hybrid, launched in 2016 and featuring a petrol engine with electrical assistance from a small motor fed by batteries. 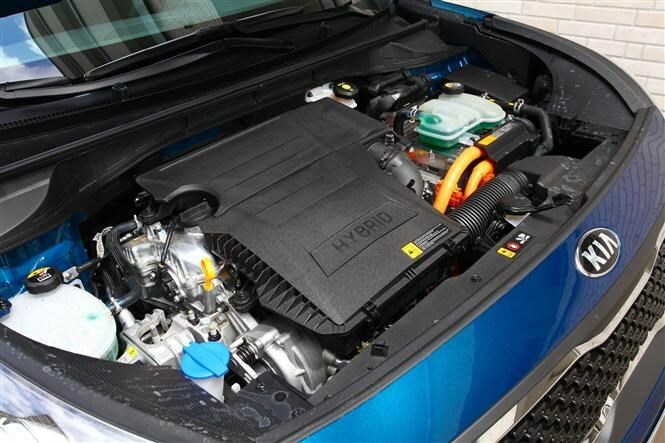 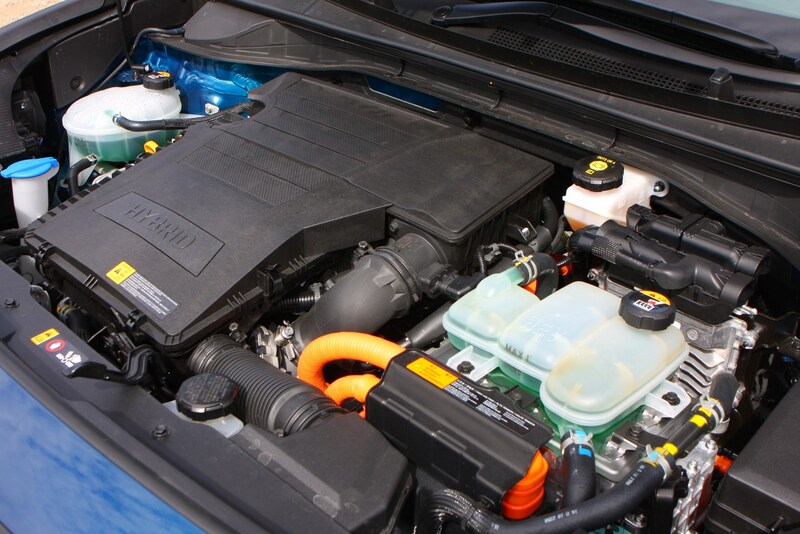 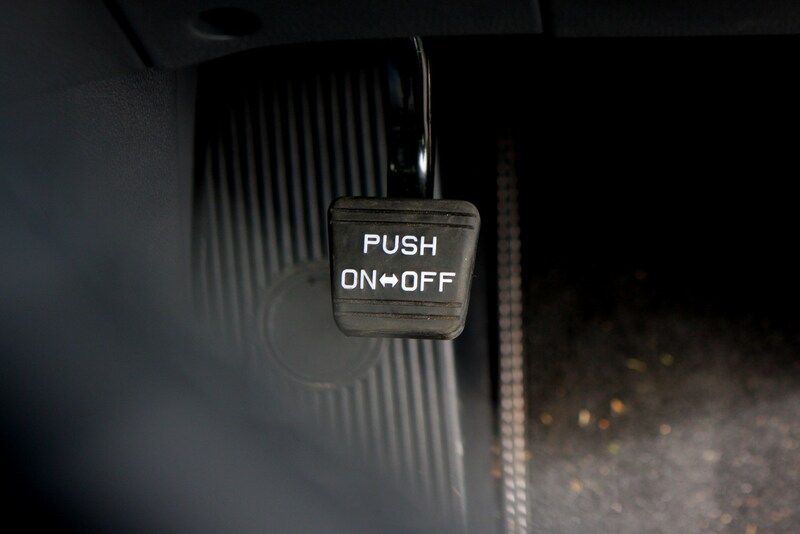 It charged itself (you couldn’t plug it in) and was designed to dramatically improve fuel consumption over an SUV with a regular engine. 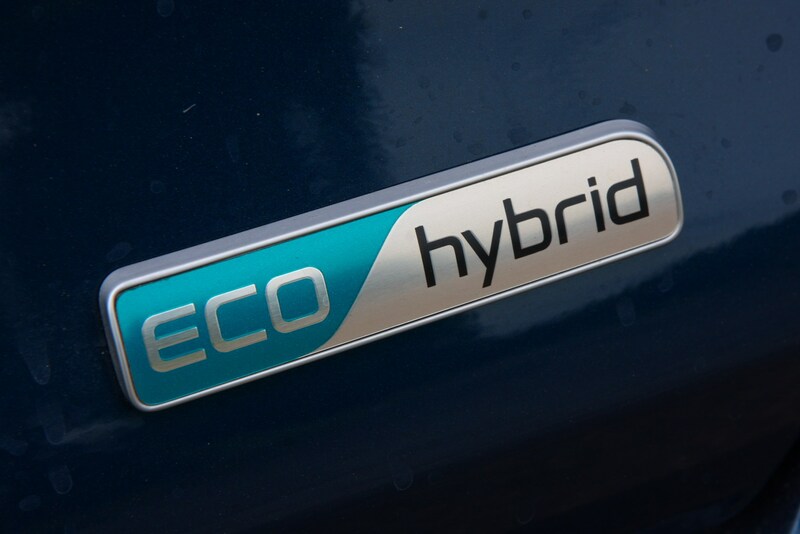 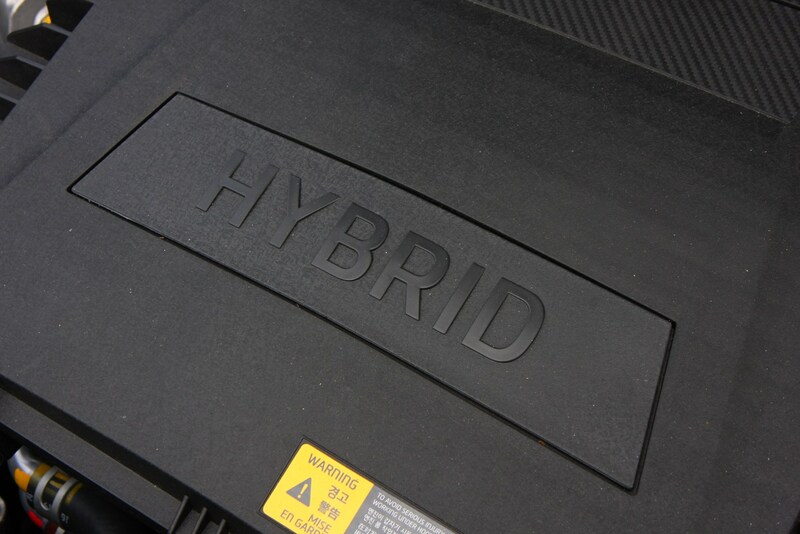 Then in 2017 the plug-in hybrid was launched with, you’ve guess it, a plug. 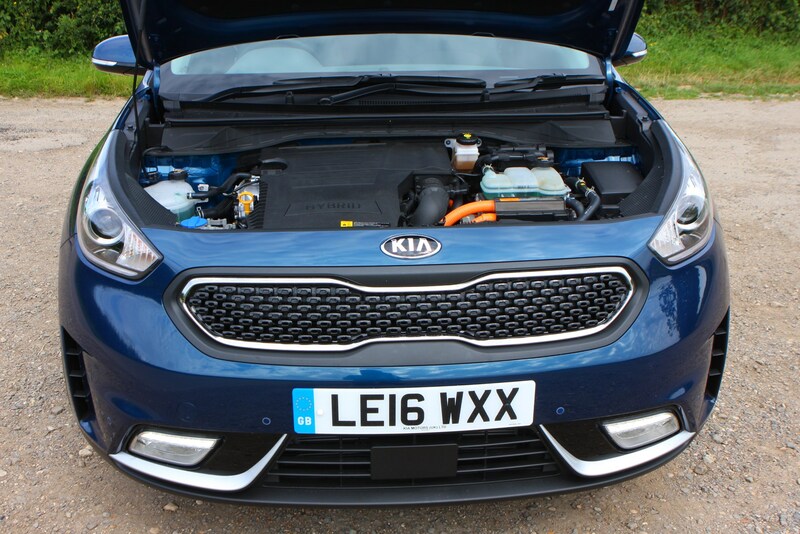 It also had a larger battery and motor, so could travel much further on electric power alone, making it much better on fuel and CO2 emissions. 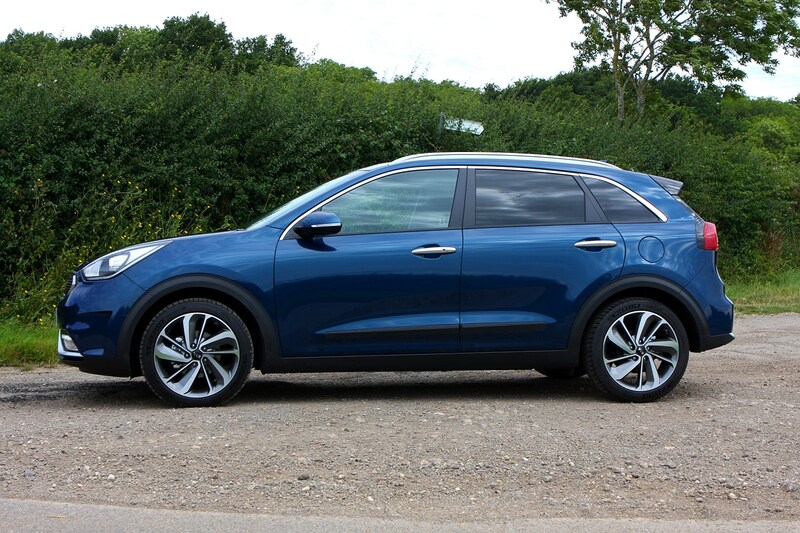 However, the trio was completed in 2018 when the E-Niro was revealed, due for delivery in April 2019 (below). 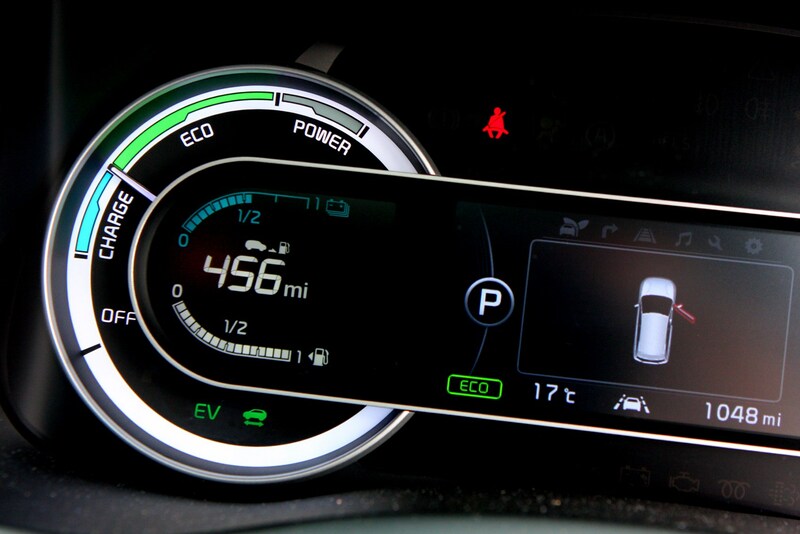 This one didn’t have a traditional engine at all, instead boasting 282 miles of pure-electric range and the capacity to be charged to 80% in 54 minutes if you found the right sort of charger. 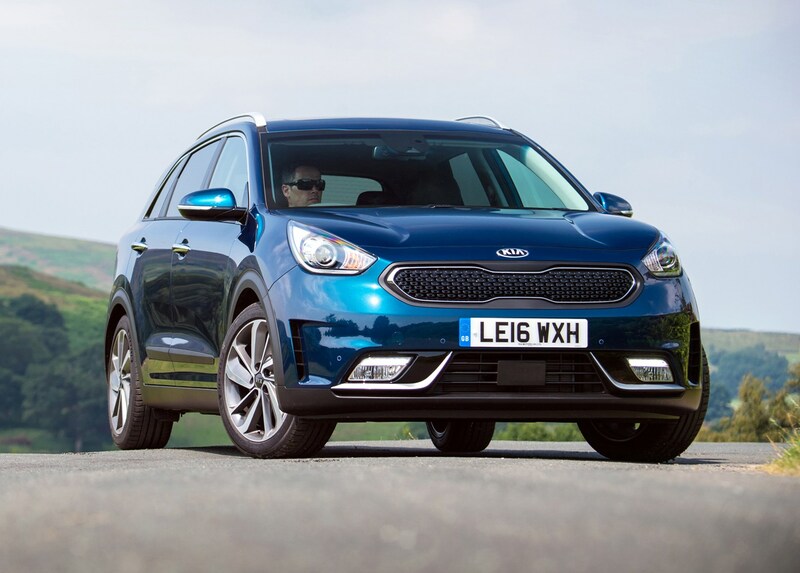 How does the Kia Niro drive? 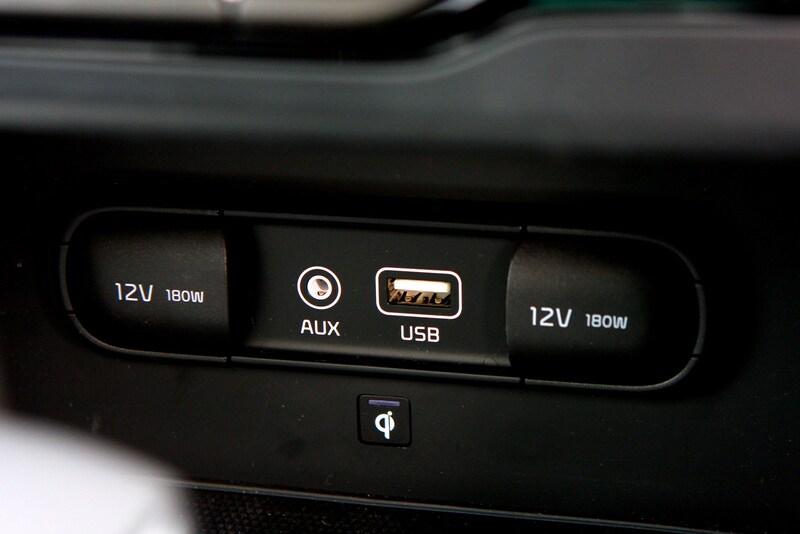 That absolutely depends on the version you’ve gone for. 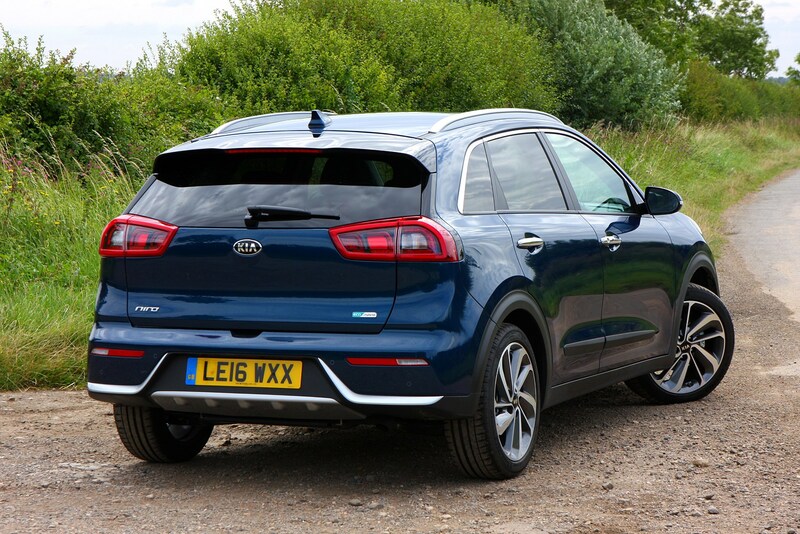 The E-Niro, as you’ll read on the Driving page of this review, is smooth, quiet, solid and accessible. 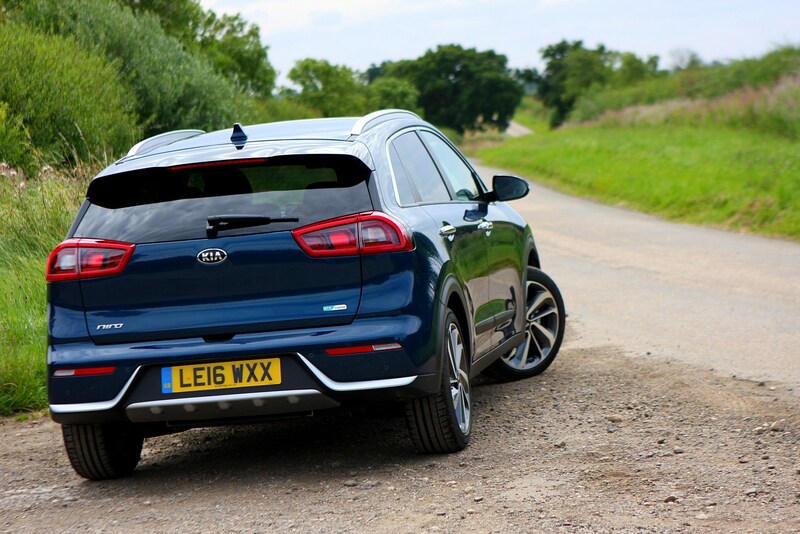 The hybrid Niro is similar, but slightly blighted by a coarse engine note when you do have to burn through some petrol. 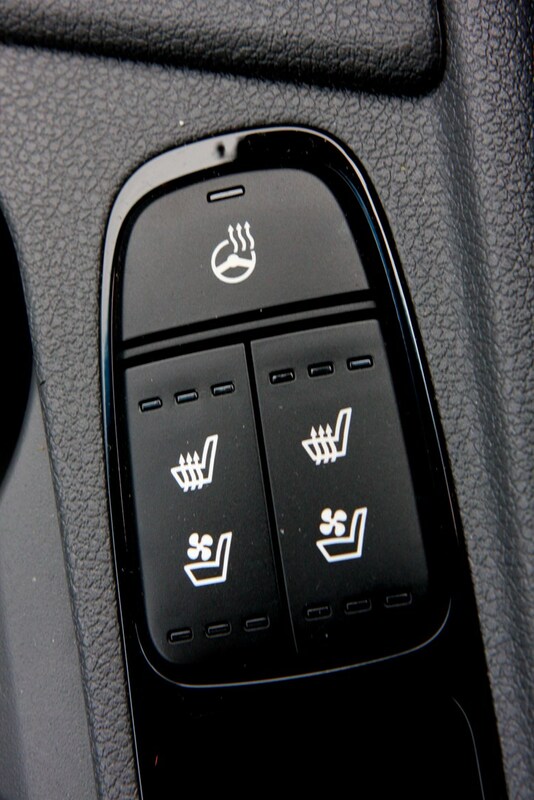 But whichever version you pick costs should prove low. 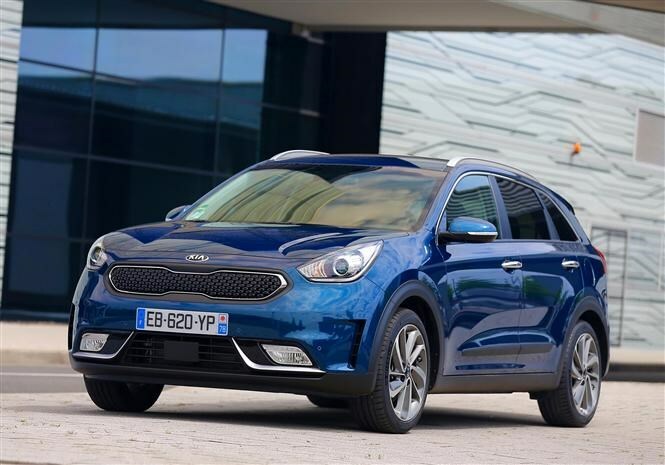 The E-Niro uses electricity alone to generate its movement, so will be cheapest to ‘fill’, but the plug-in hybrid model will mean some users almost never visit a filling station either. 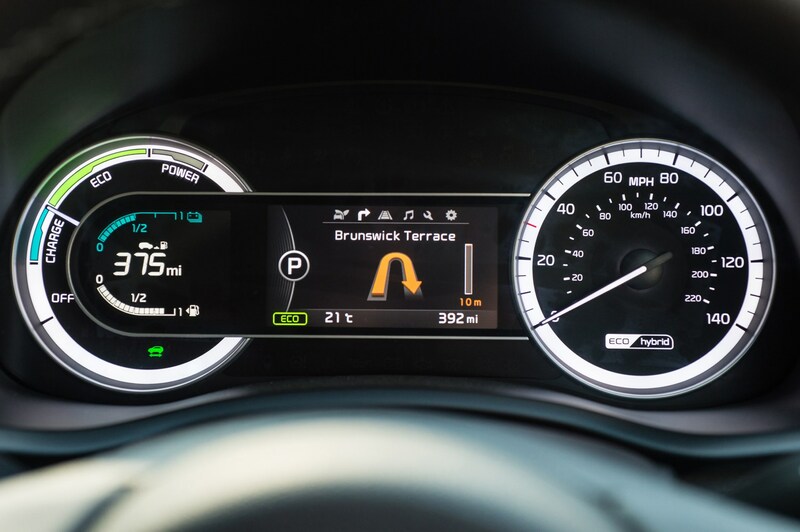 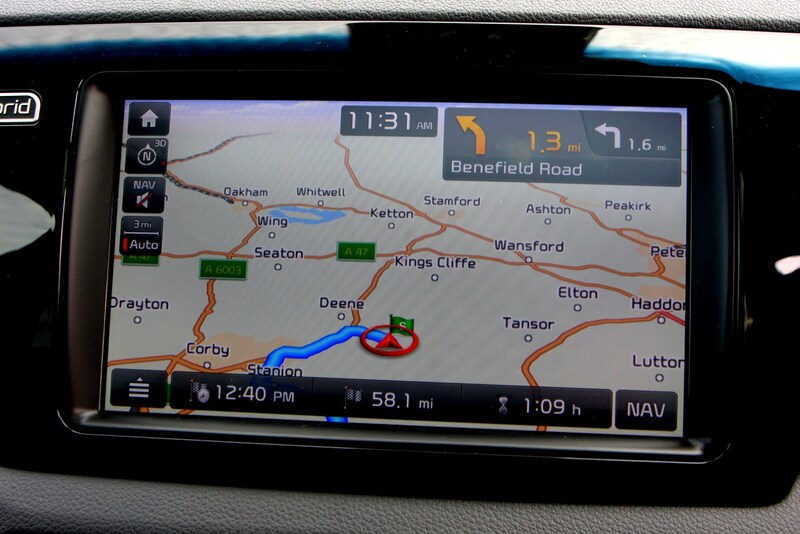 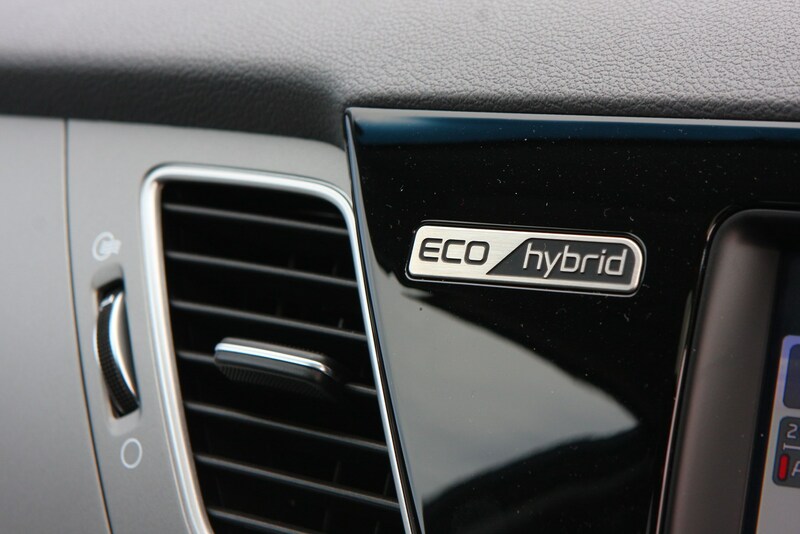 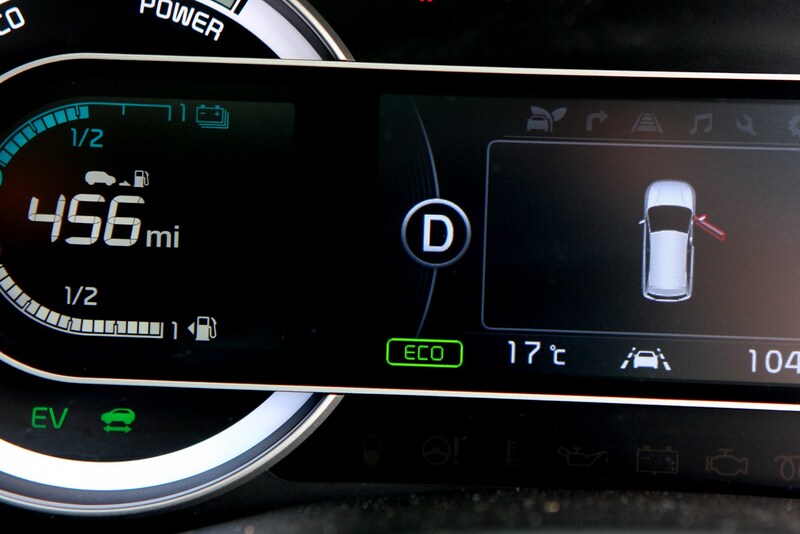 On the normal hybrid, over an hour and a half of mixed driving, we were rewarded with average fuel consumption of well over 60mpg; far closer to the quoted fuel figure than many hybrids appear to muster in the real world. 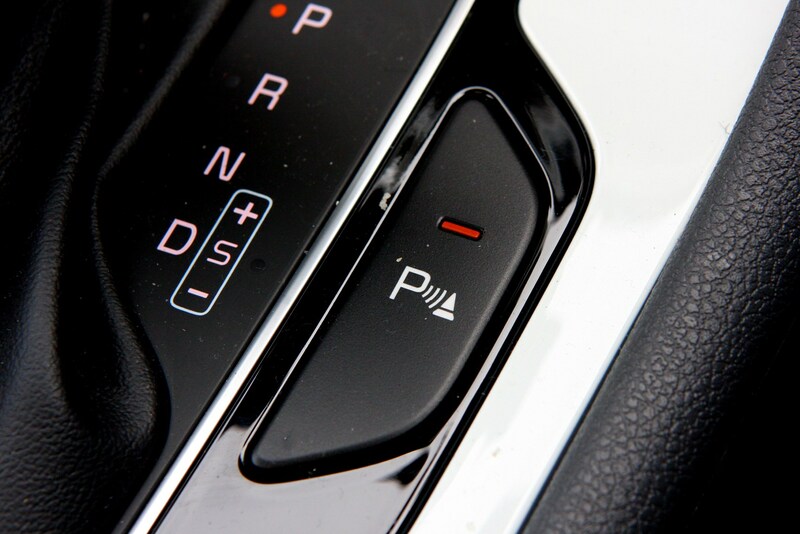 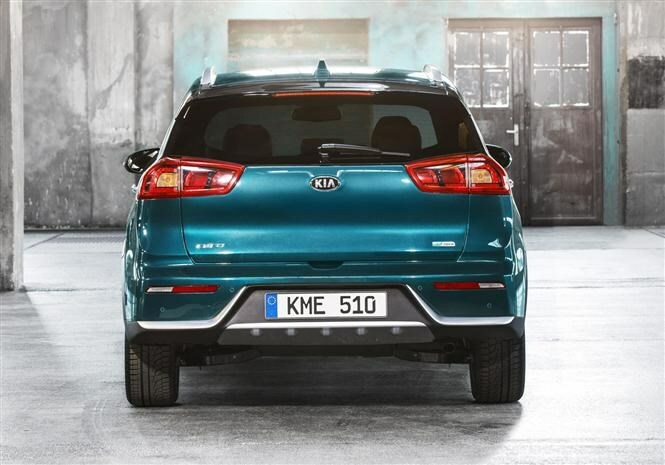 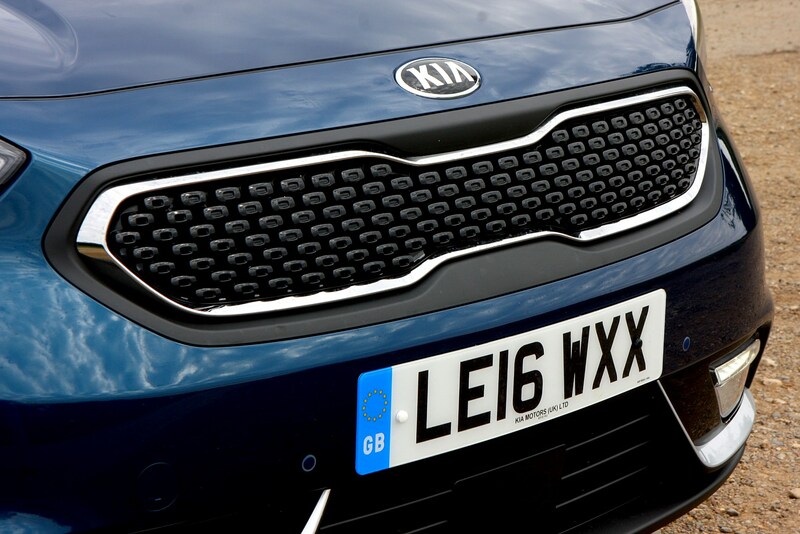 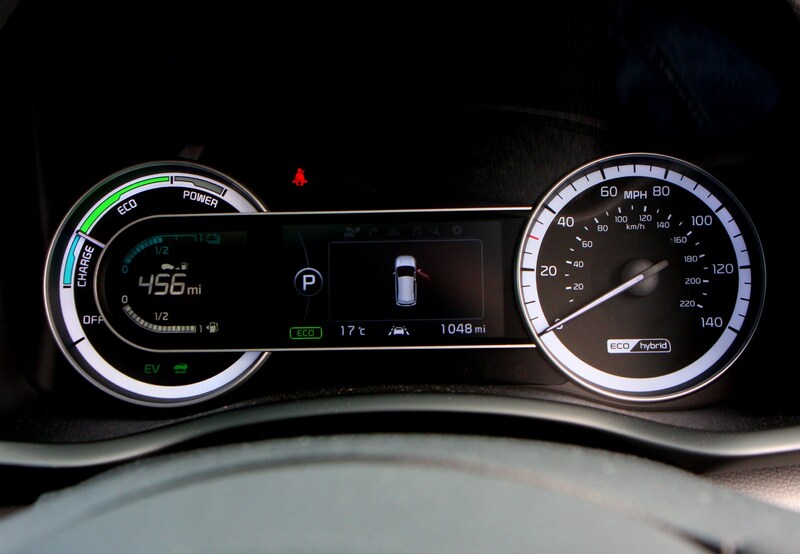 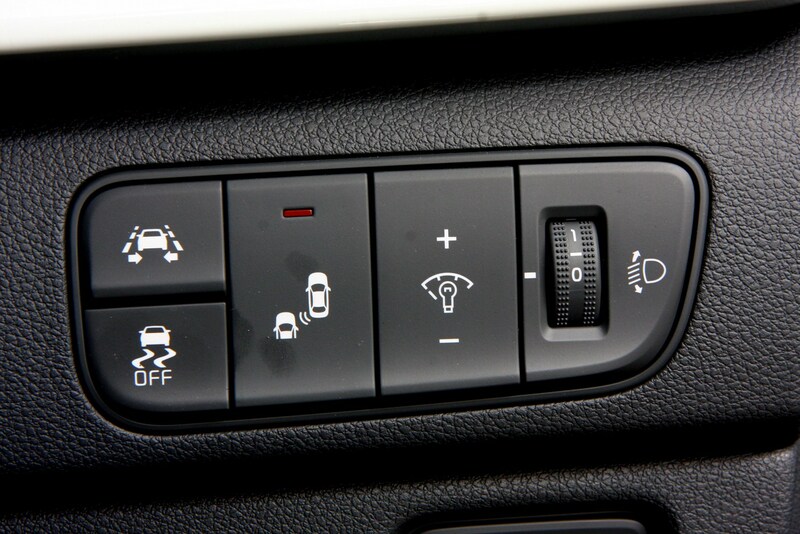 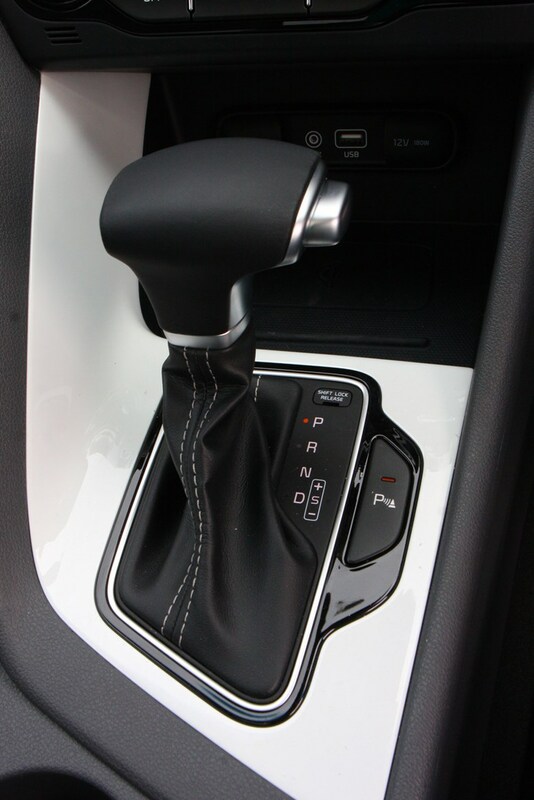 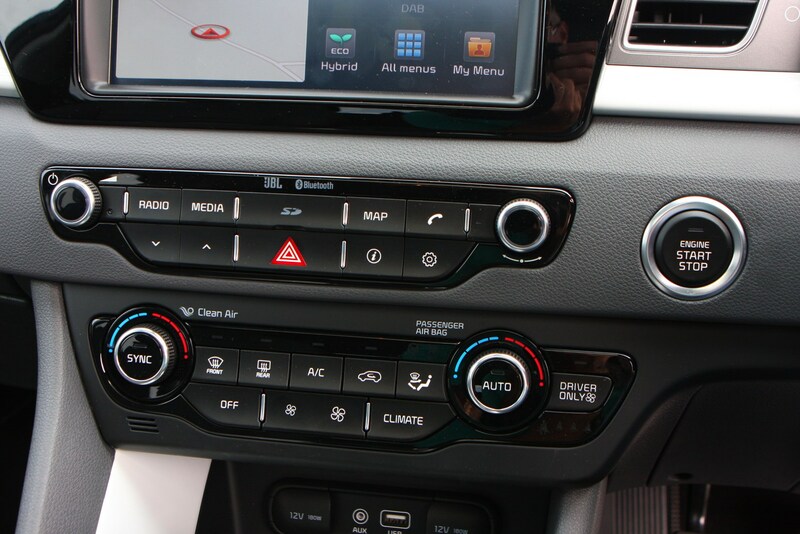 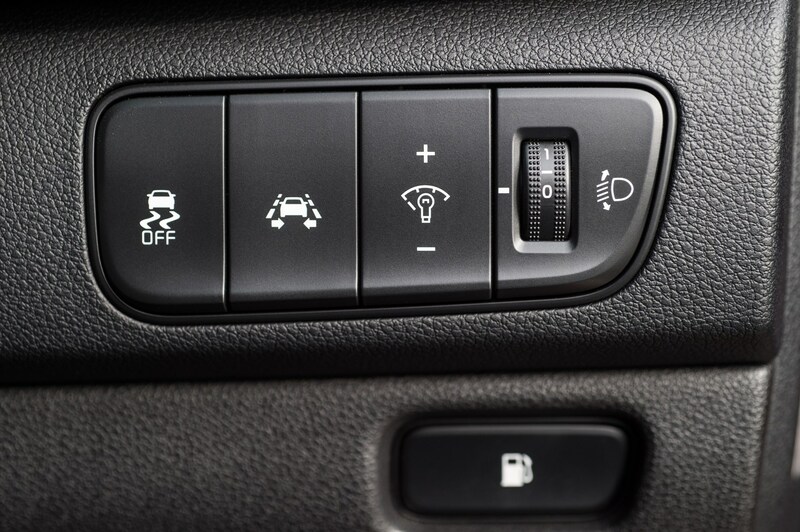 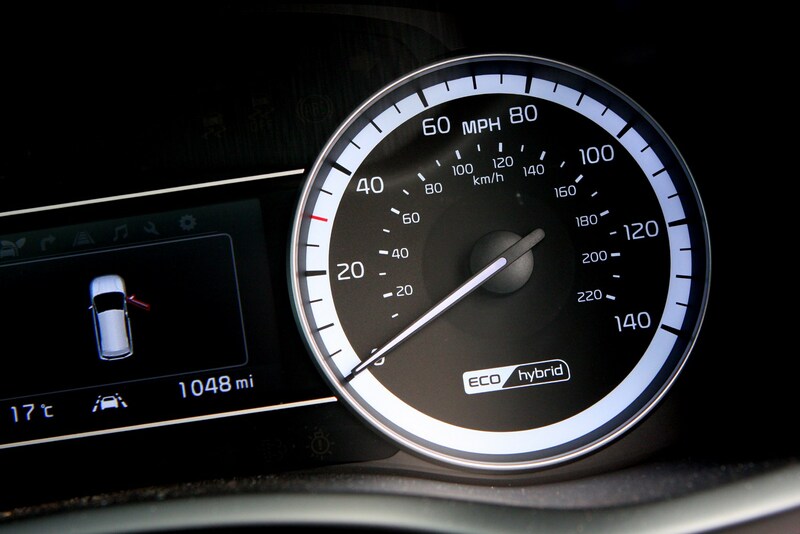 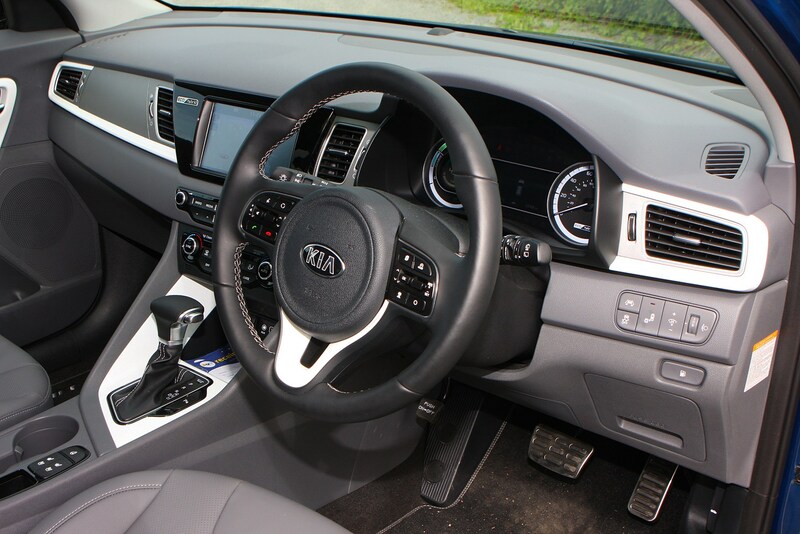 On board all is standard latest-generation Kia fare, the replacement of the rev counter by a power meter the only clue as to the presence of a hybrid drive system. 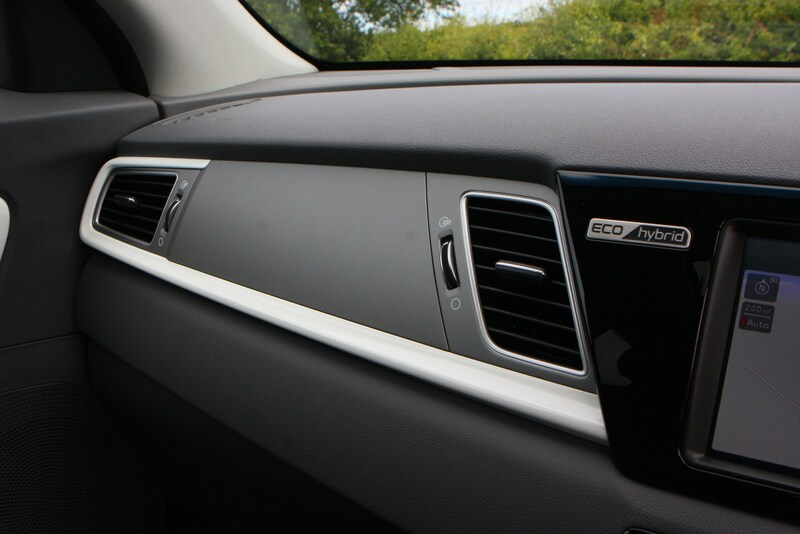 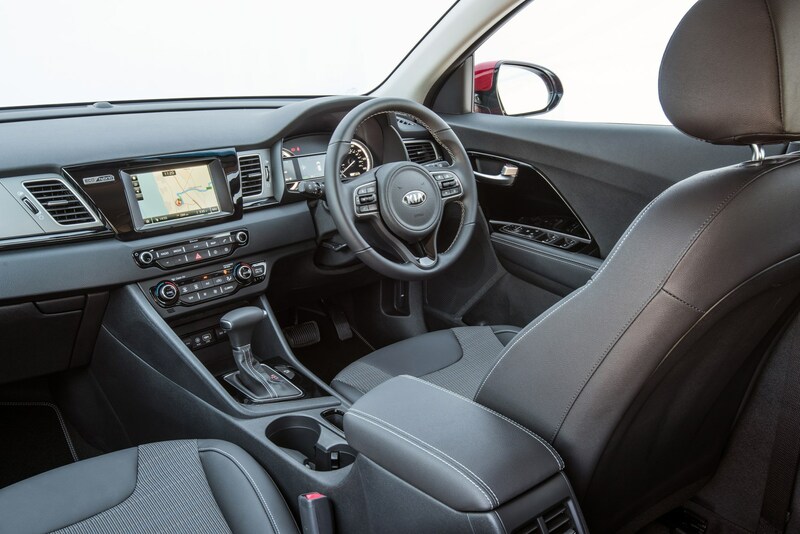 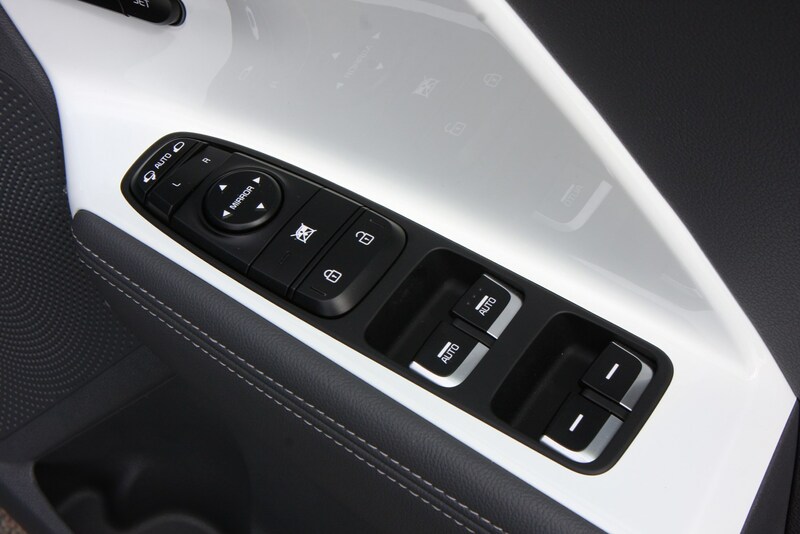 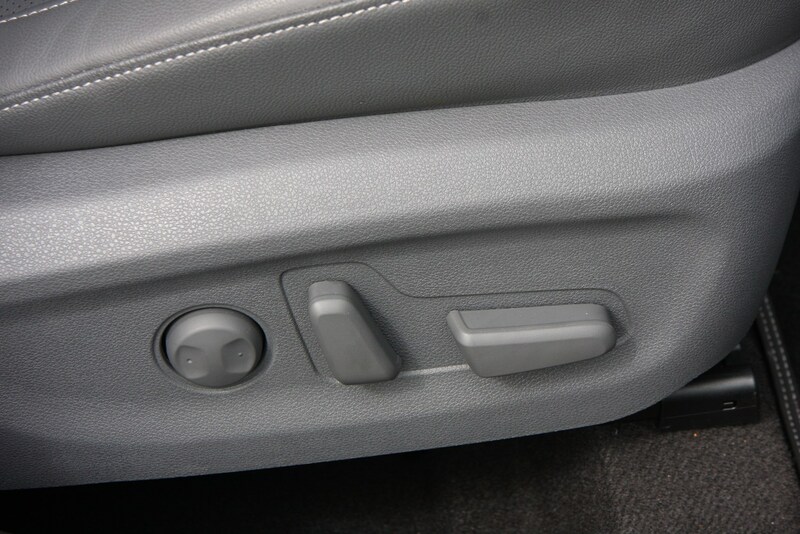 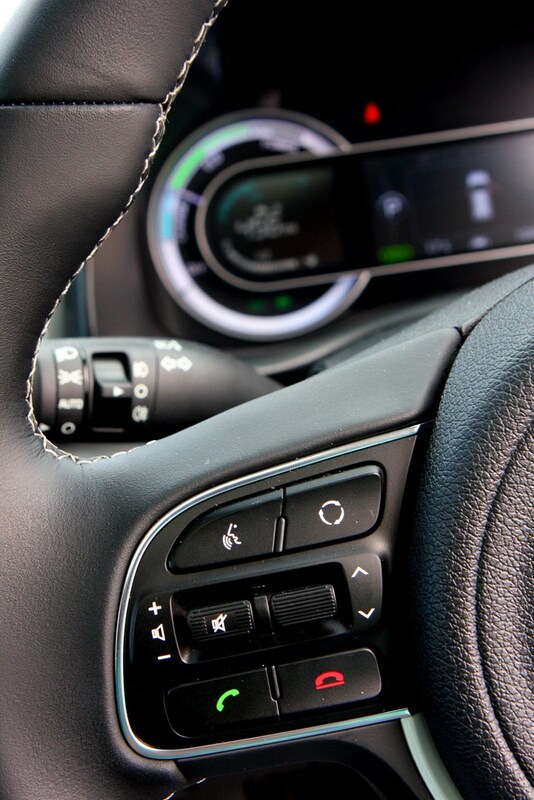 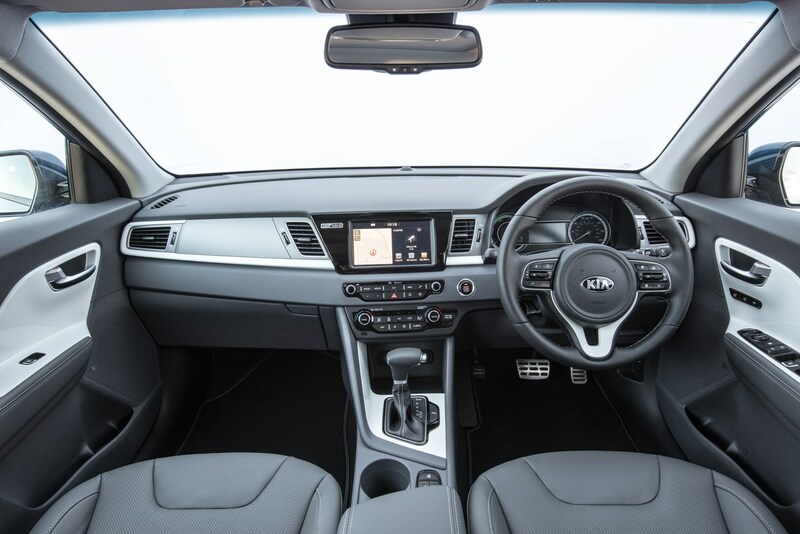 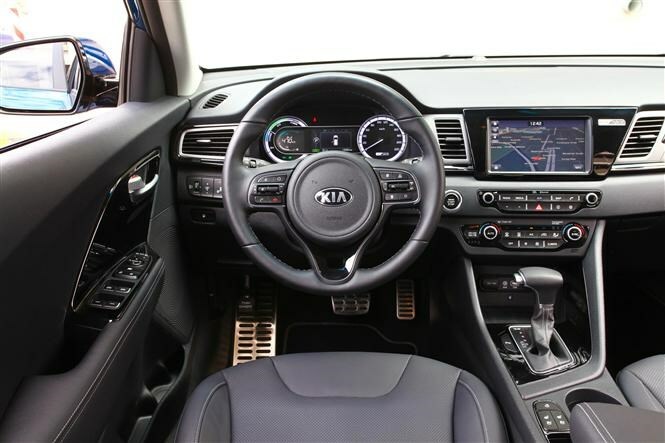 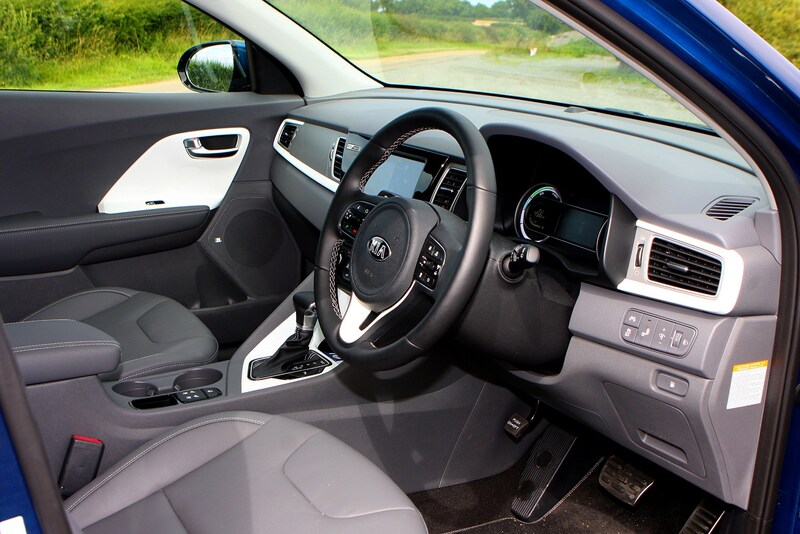 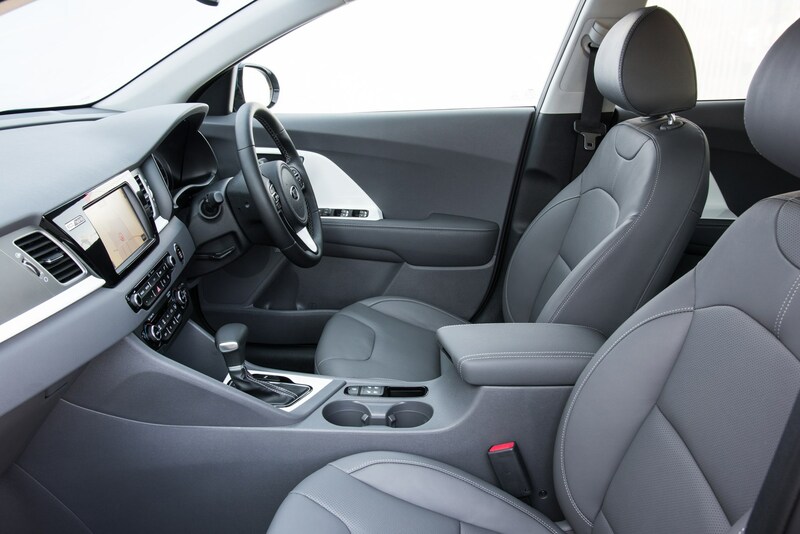 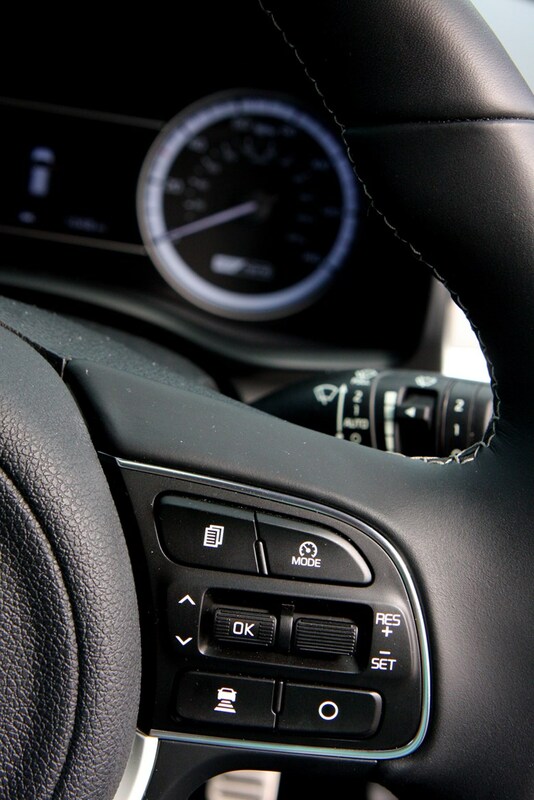 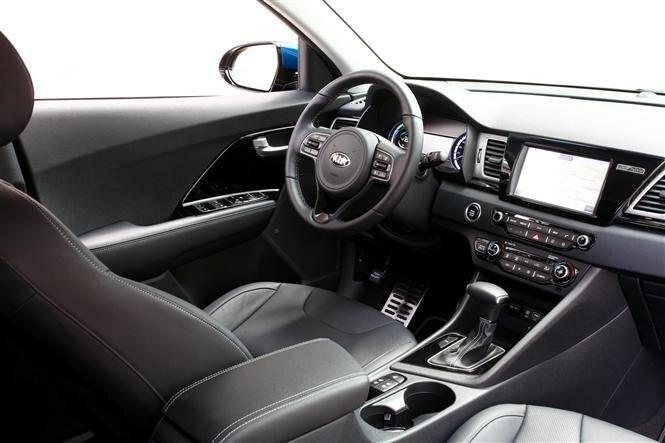 Kia interior quality has improved out of all recognition of late, with soft-touch materials wherever your fingers are likely to land, and respectable quality switchgear. 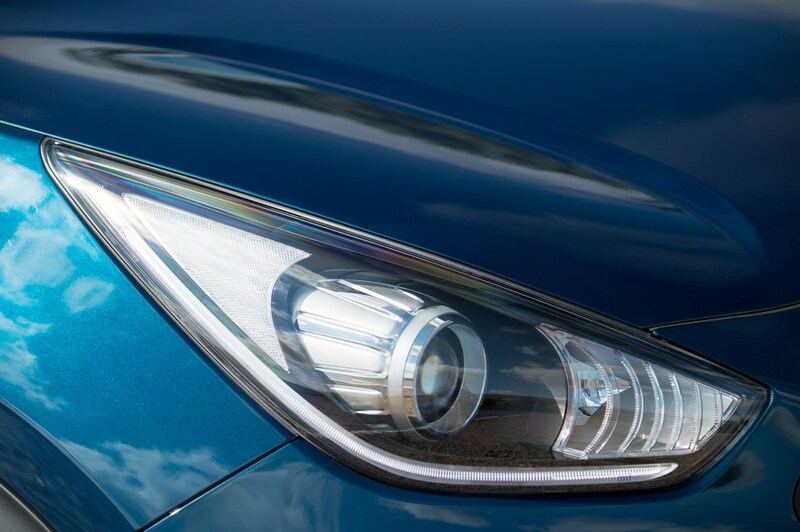 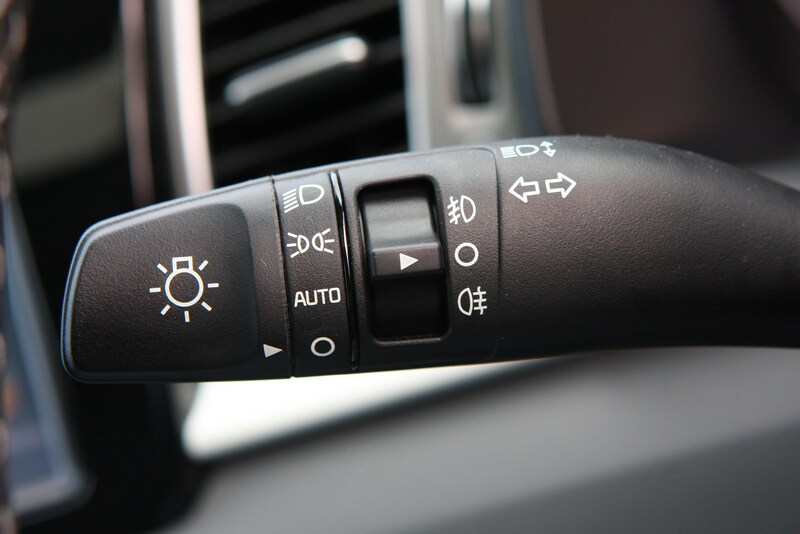 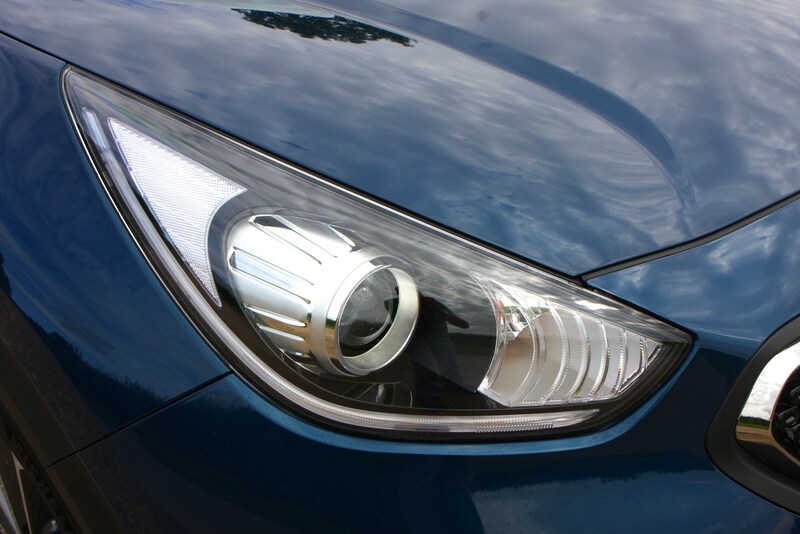 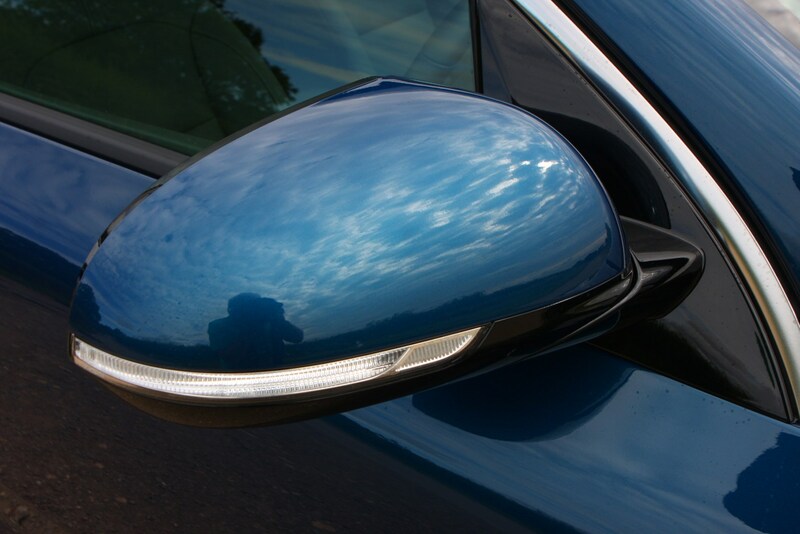 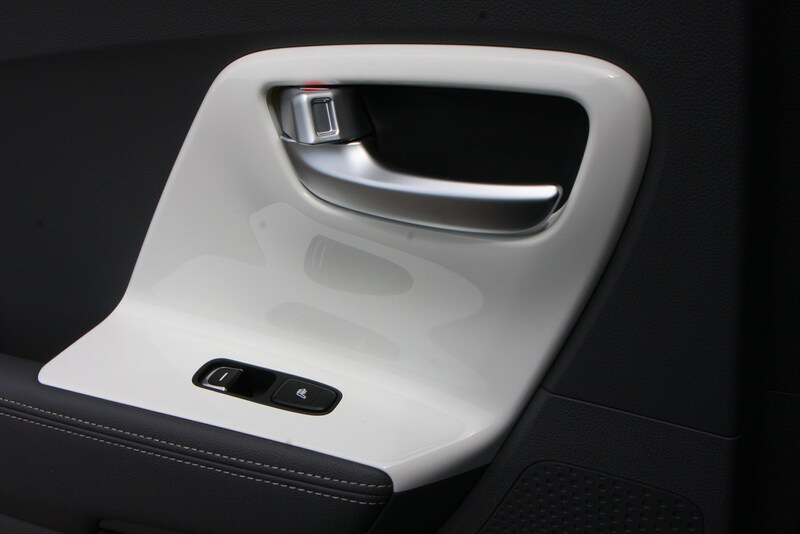 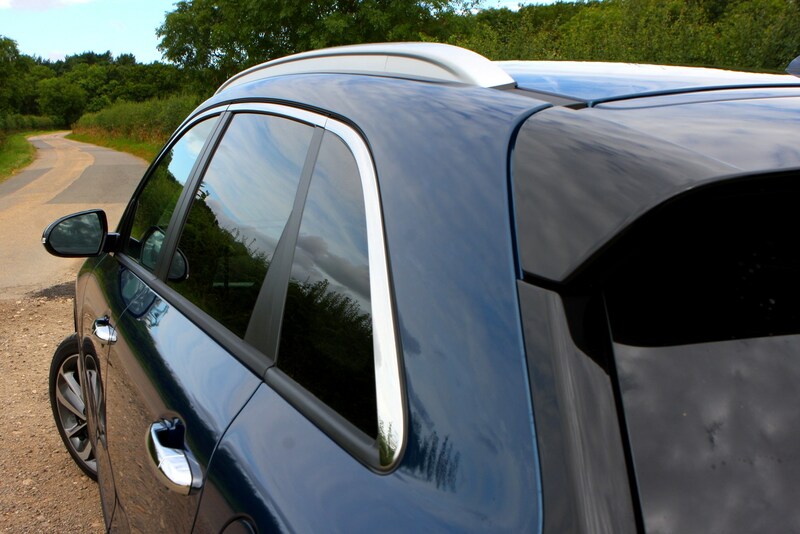 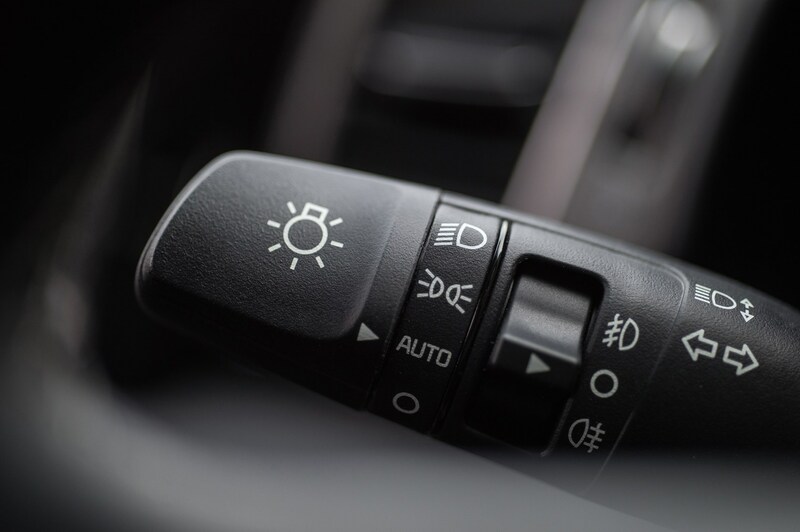 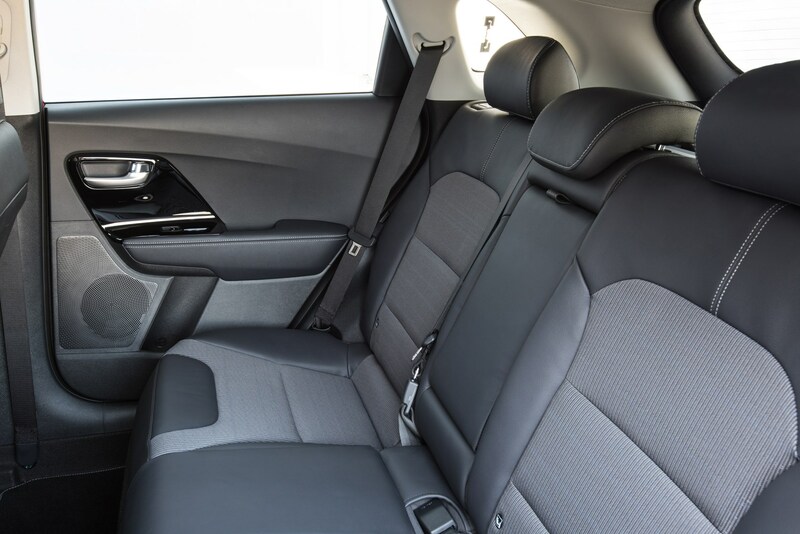 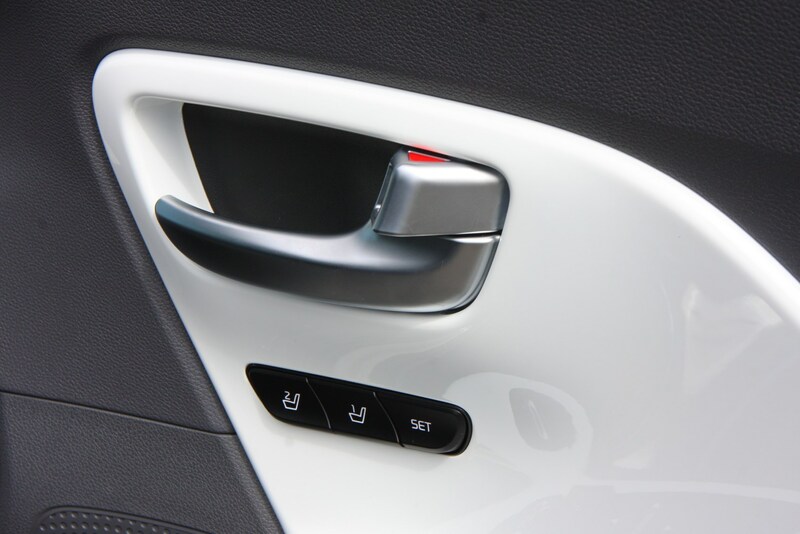 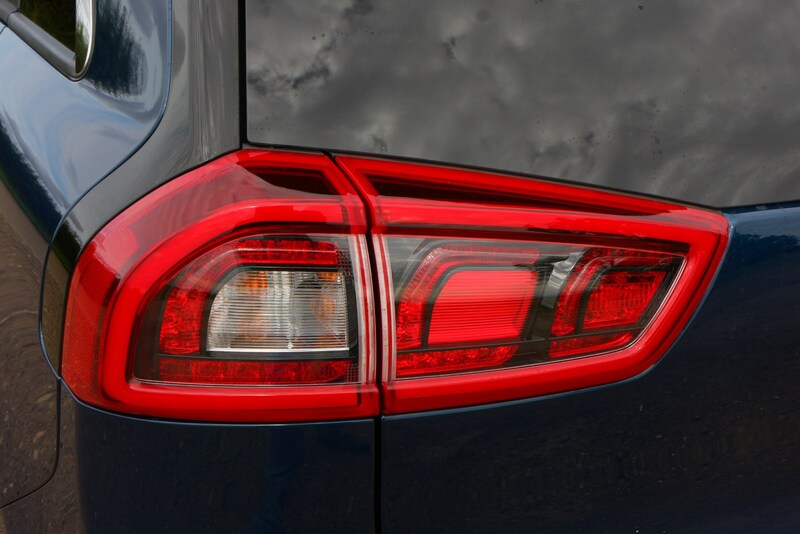 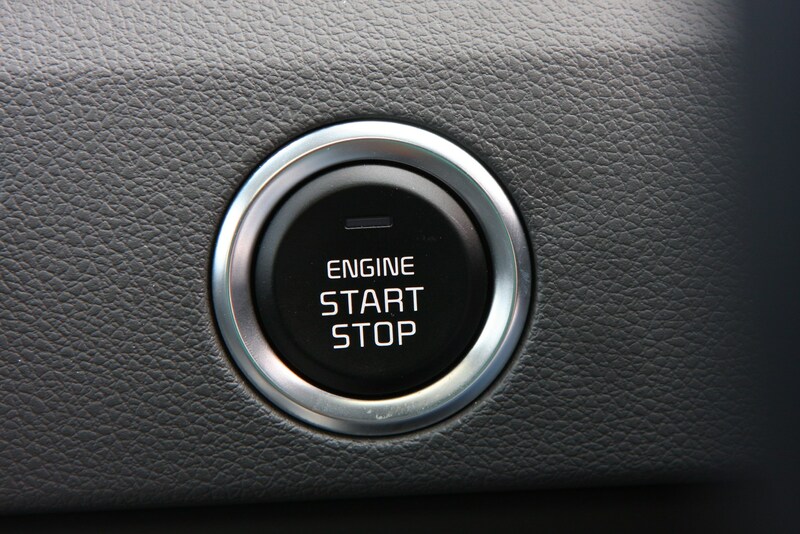 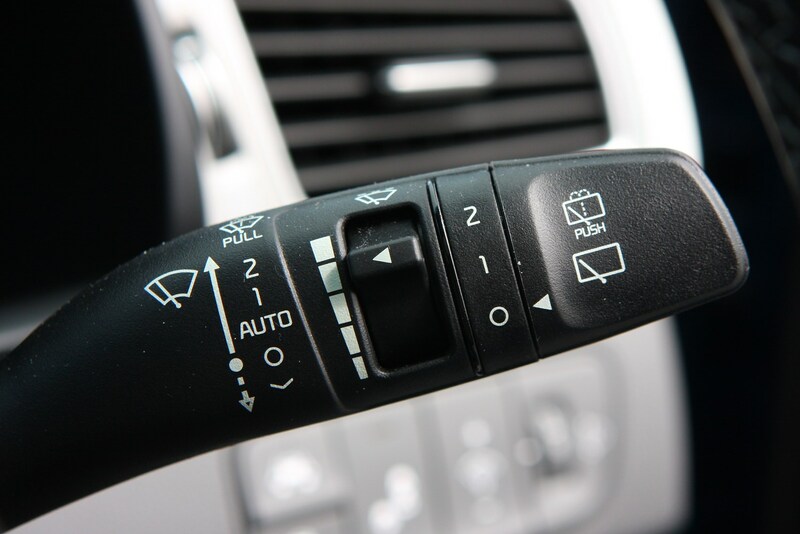 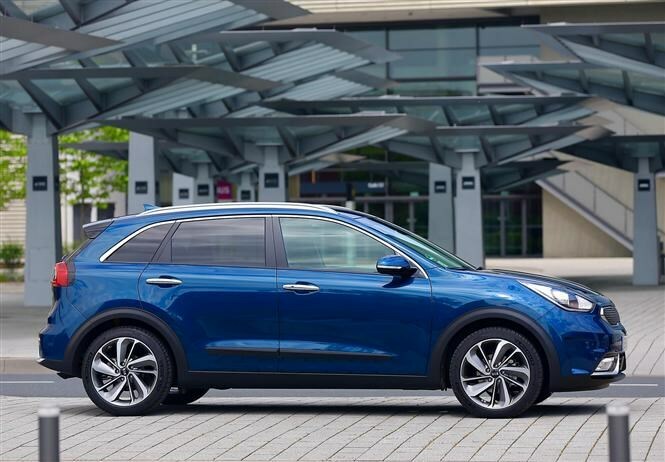 Trim levels follow the standard 1, 2, 3 and First Edition grade strategy with the usual enticingly high standard equipment levels. 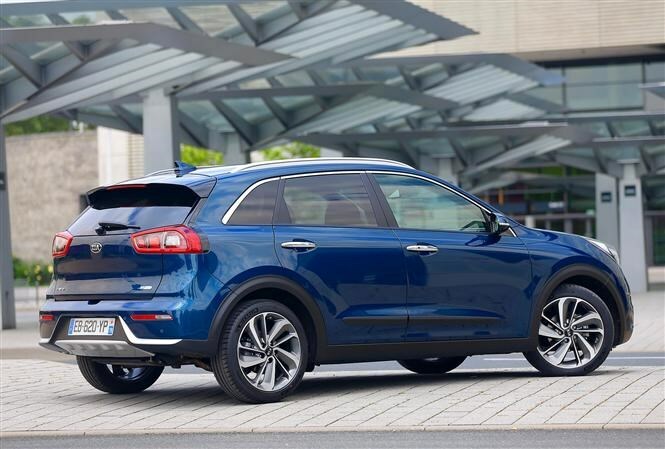 The E-Niro is only available in First Edition spec, while plug-in hybrid buyers only get 3 trim. 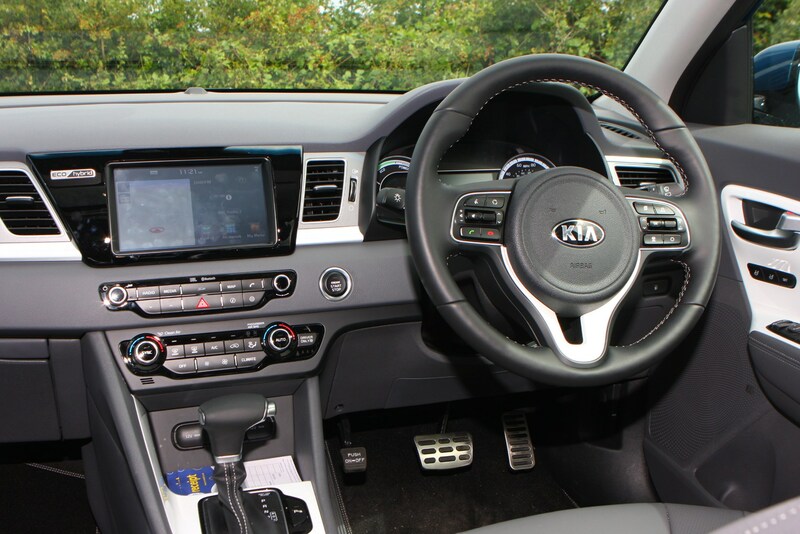 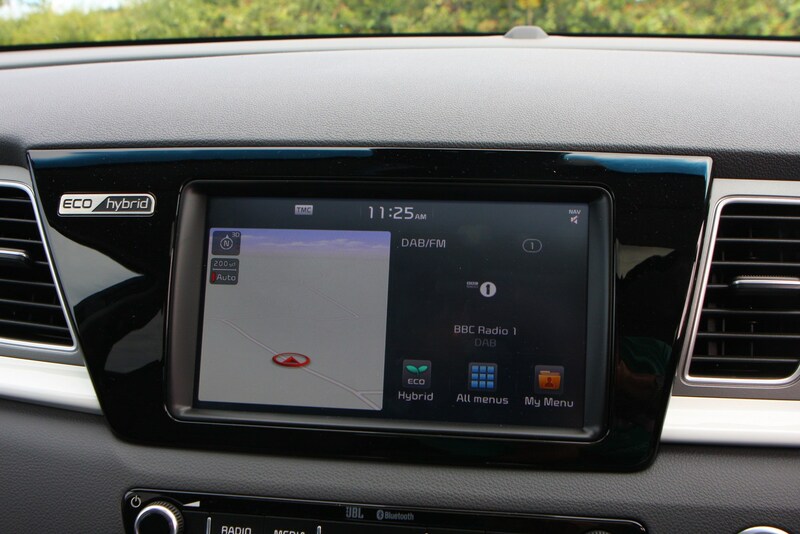 Depending on version, you get a seven- or eight-inch multimedia touchscreen boasting 3D sat-nav, DAB radio, Apple CarPlay, Kia's first use of Android Auto, wireless mobile phone charging and TomTom Live services, free for seven years to match the firm’s industry-leading warranty. 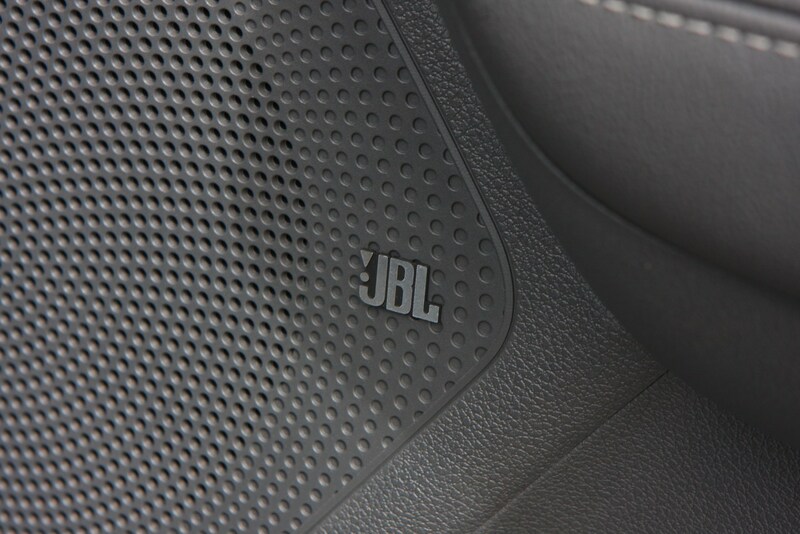 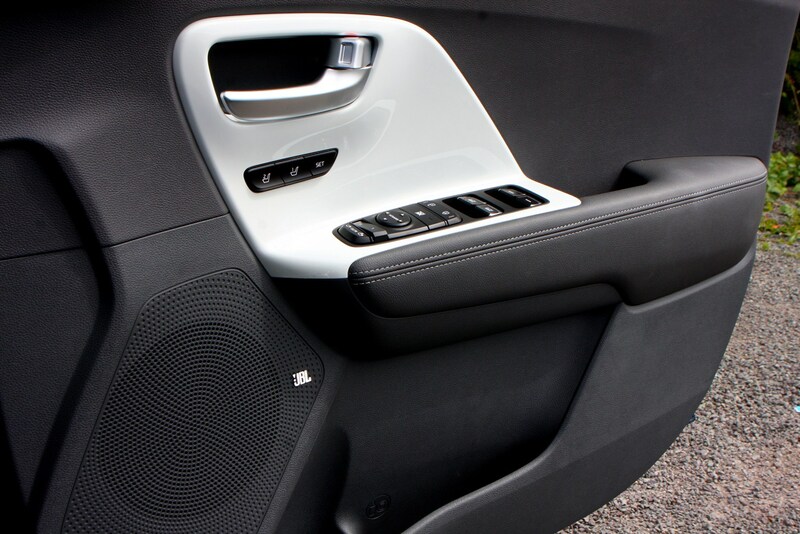 An eight-speaker JBL audio system powerful enough to blow the wax from your ears is also available as standard on higher grades and optional elsewhere. 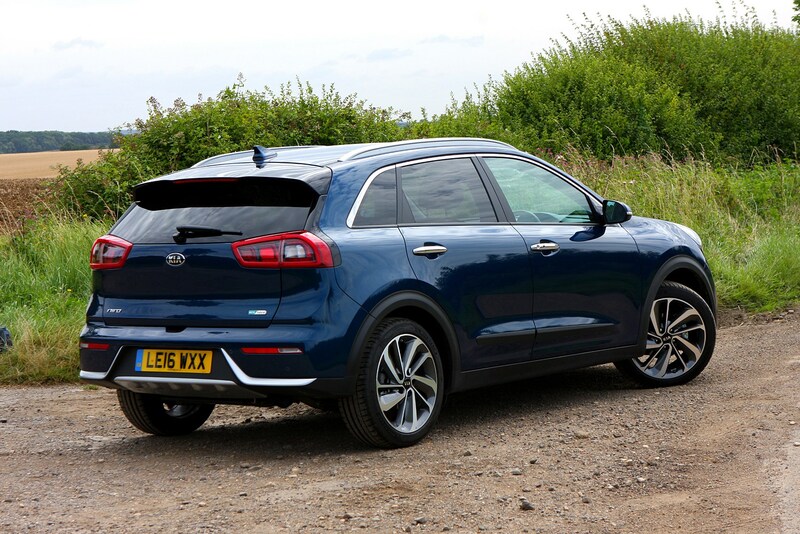 Should you buy a Kia Niro? 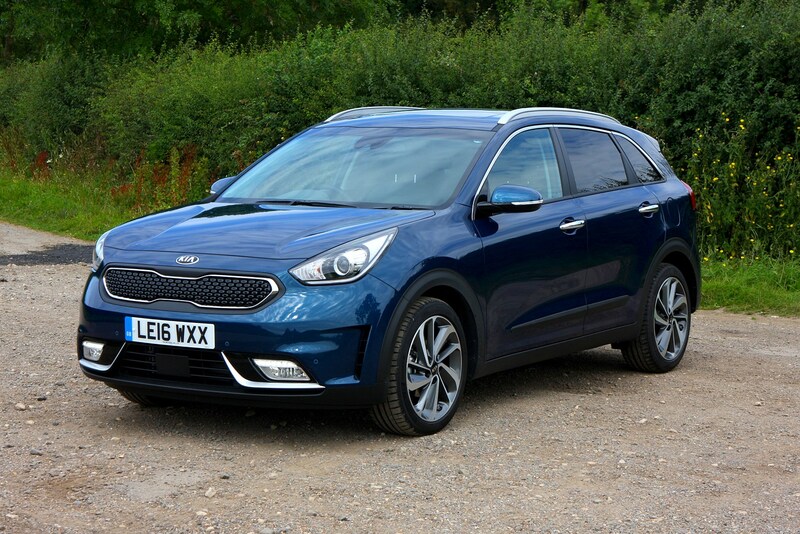 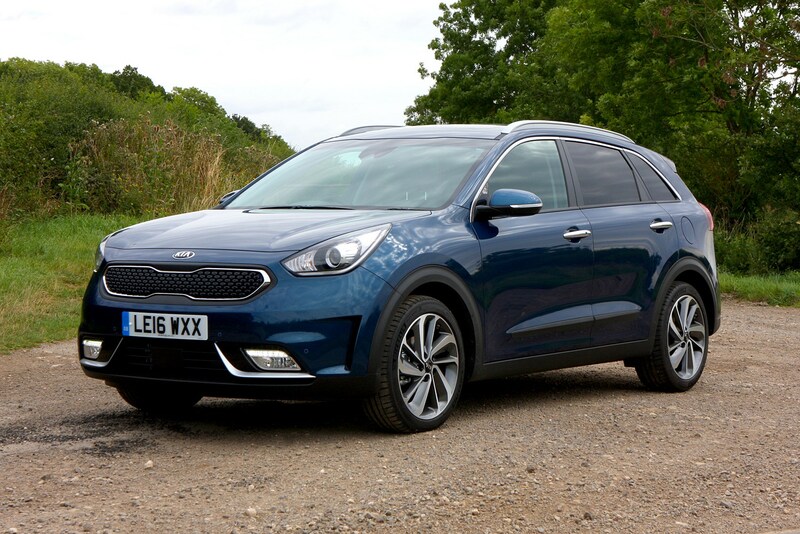 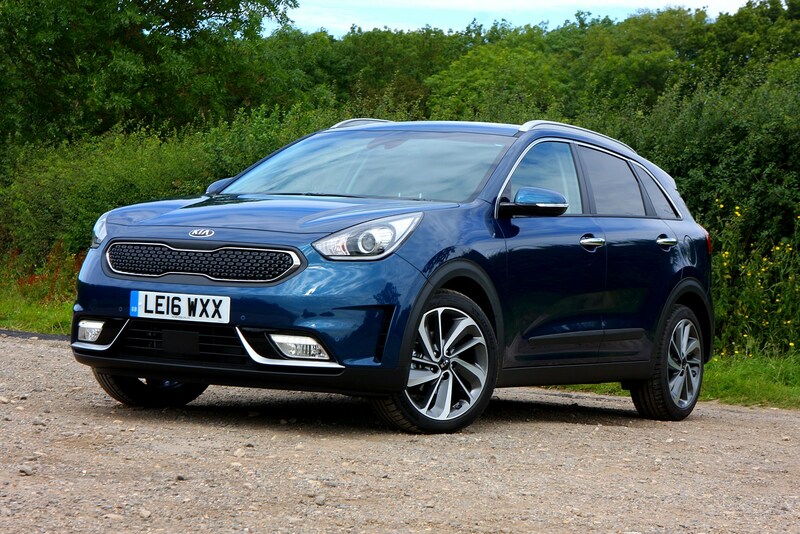 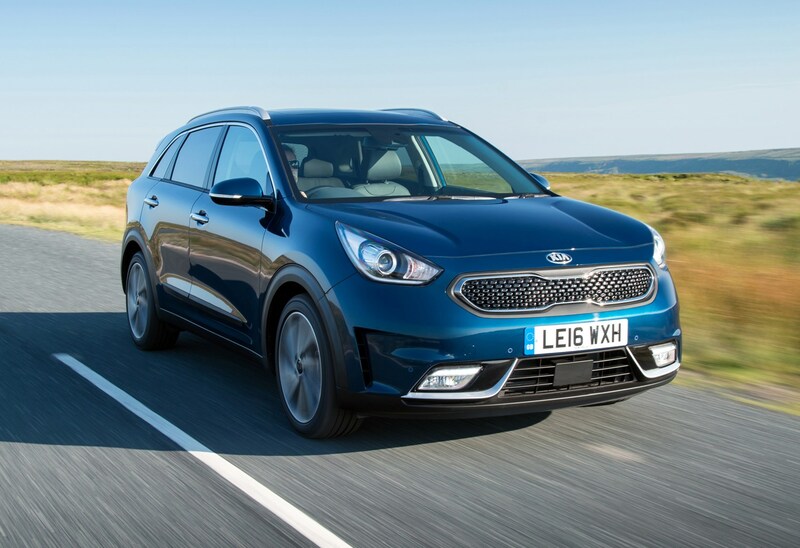 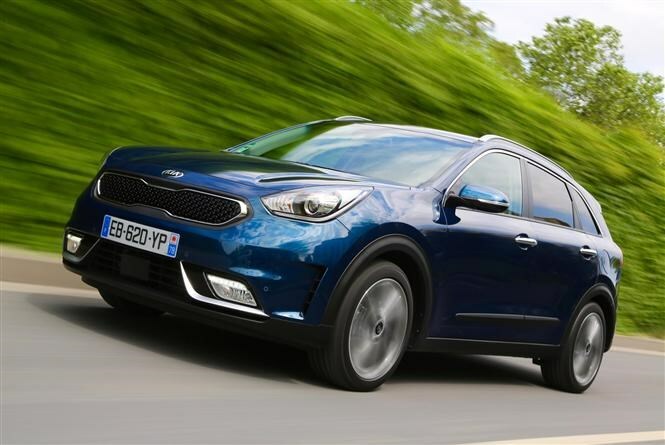 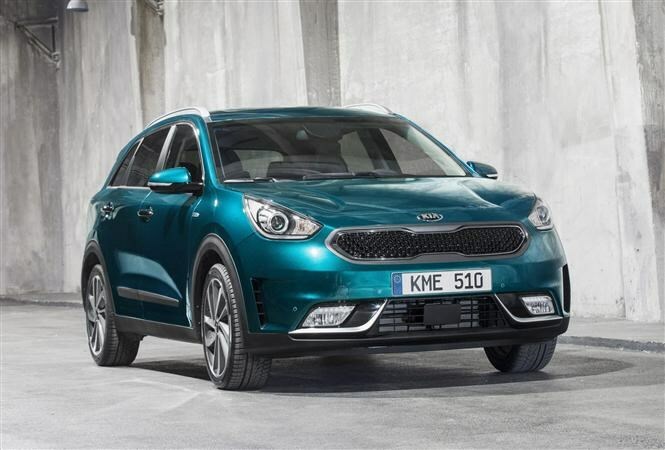 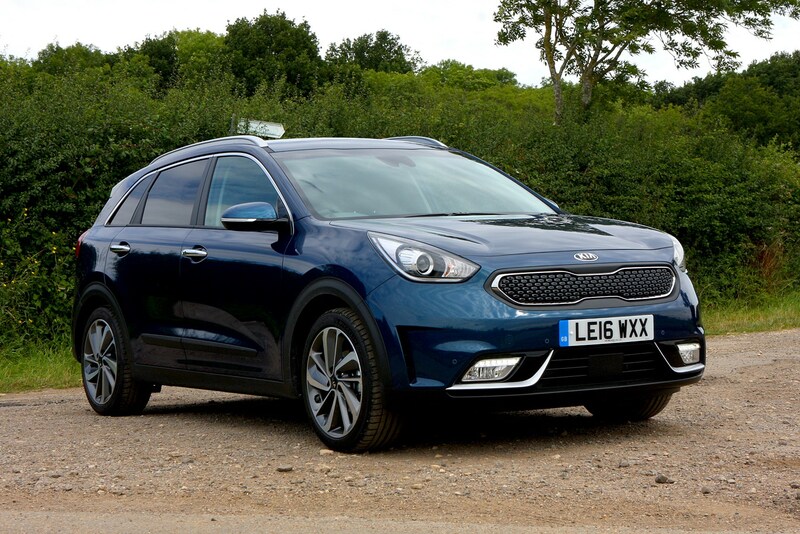 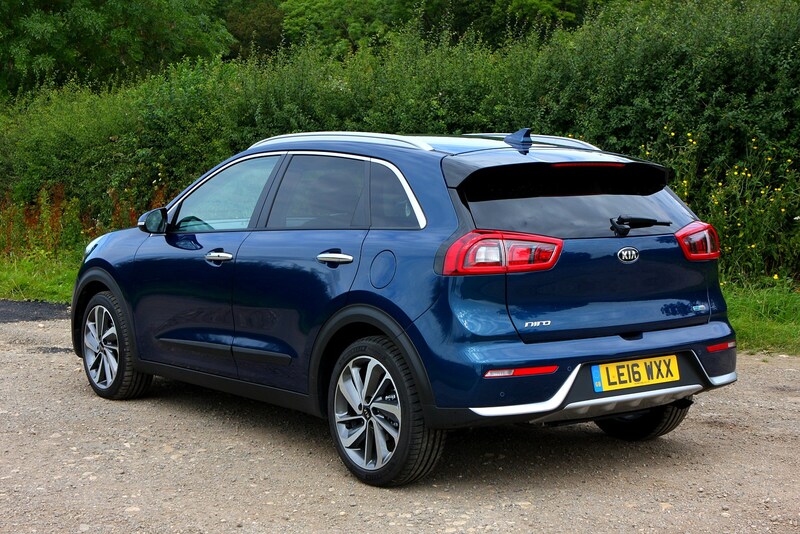 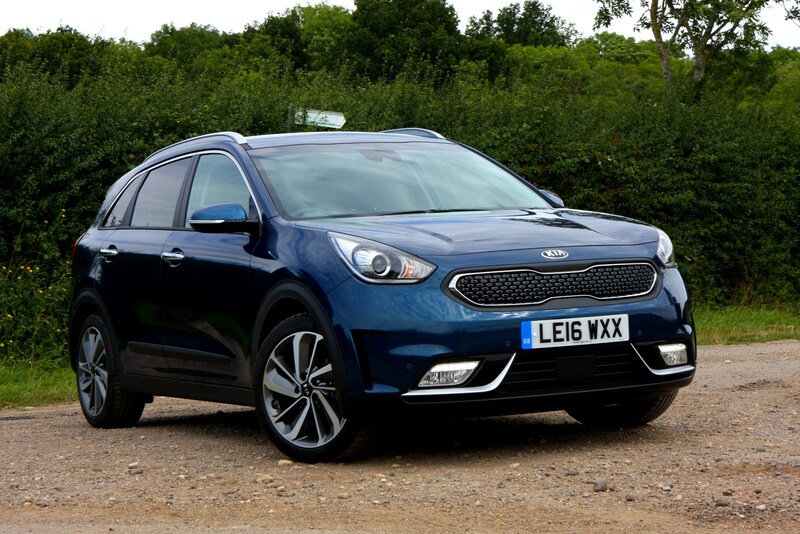 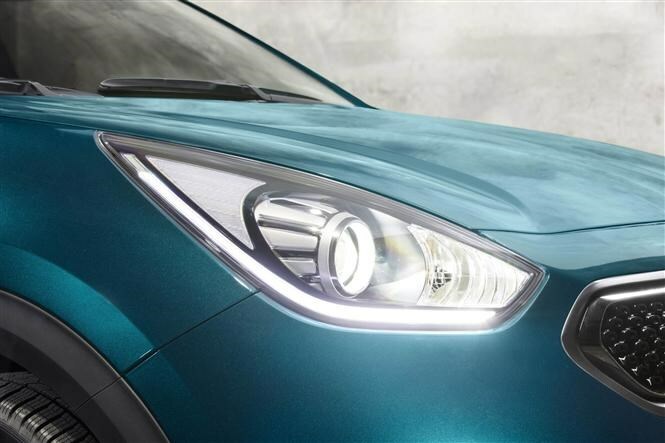 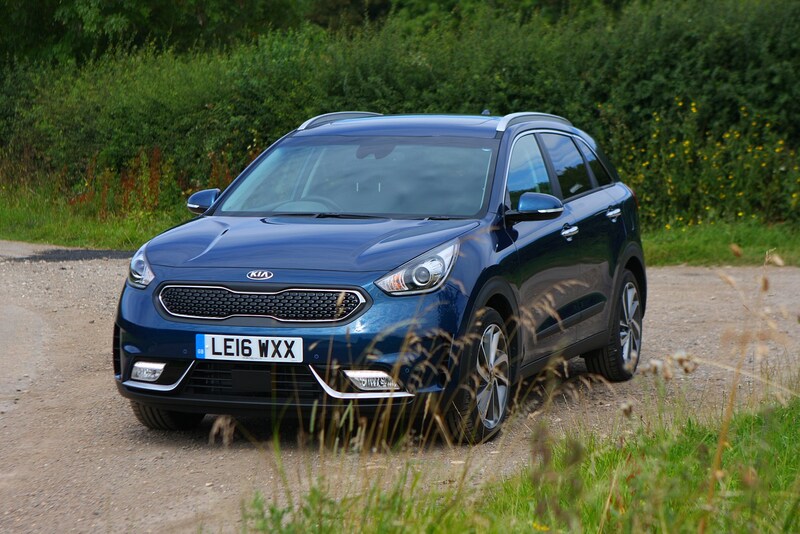 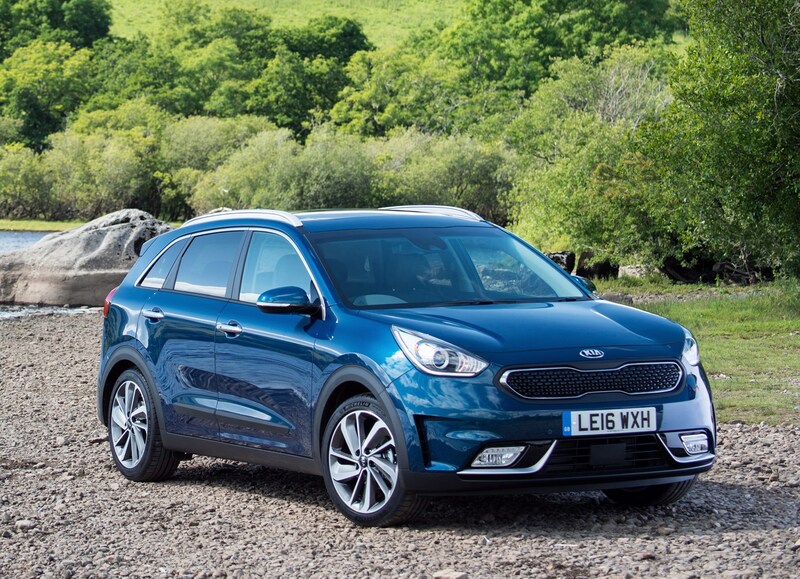 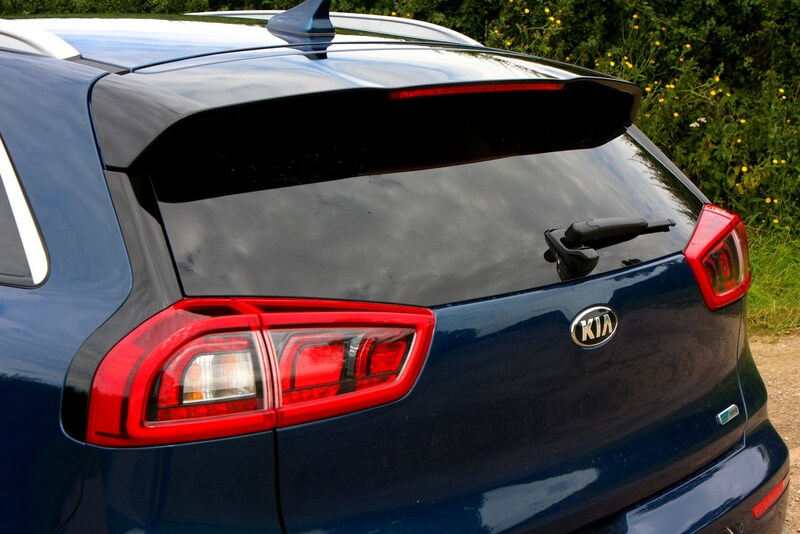 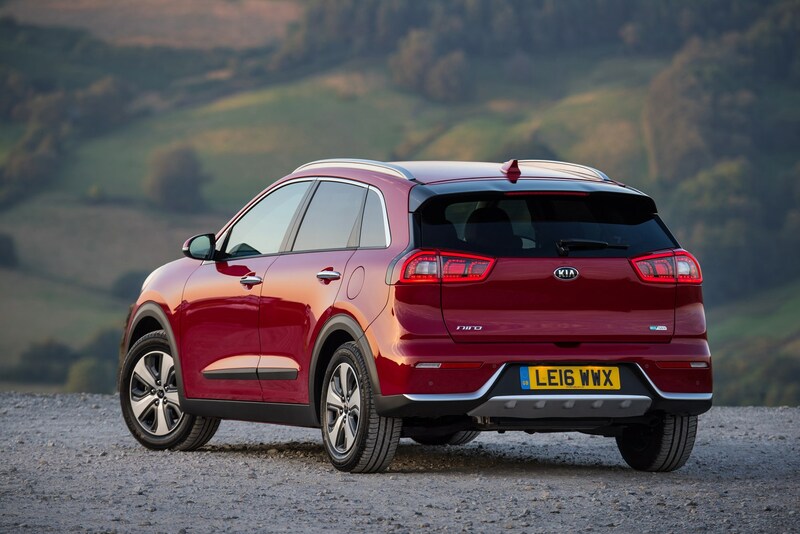 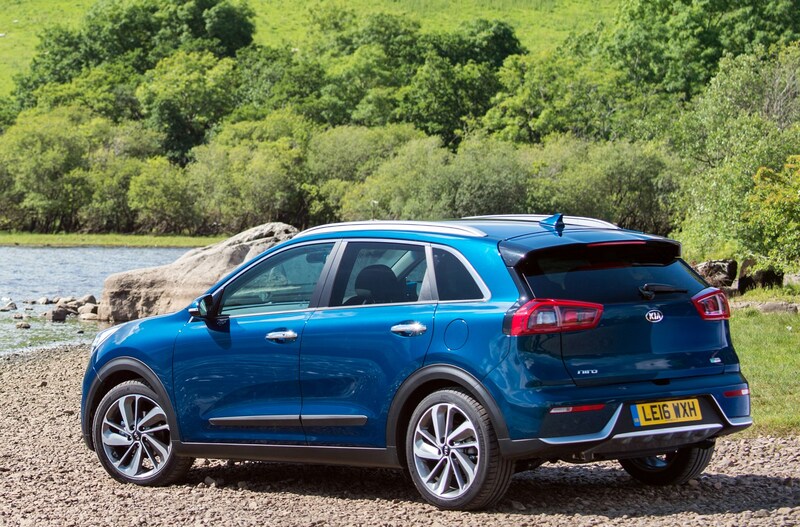 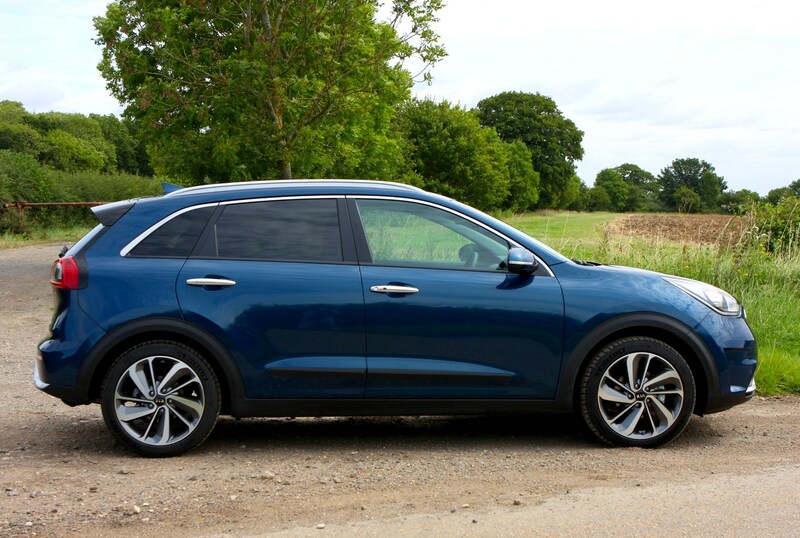 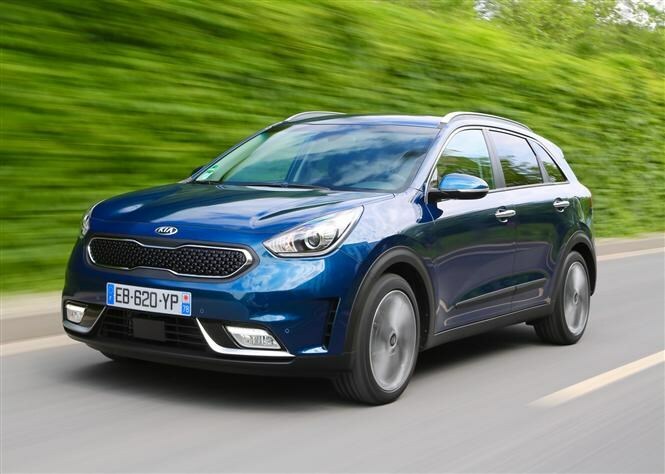 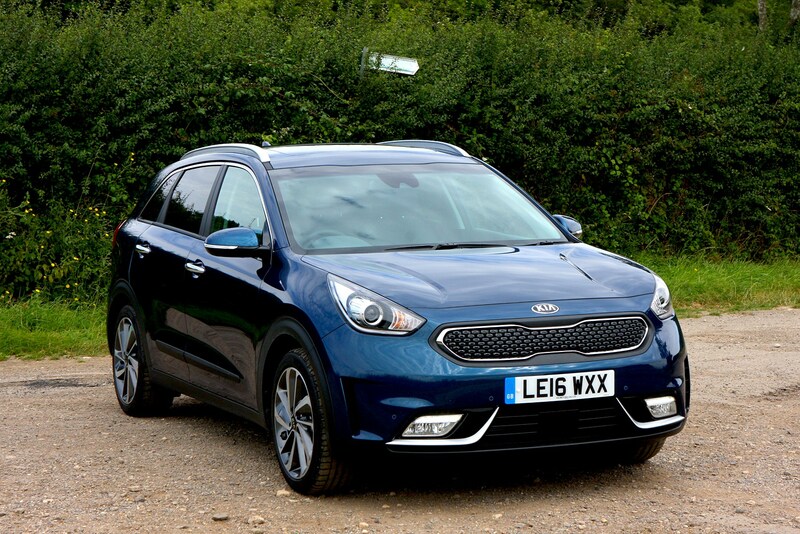 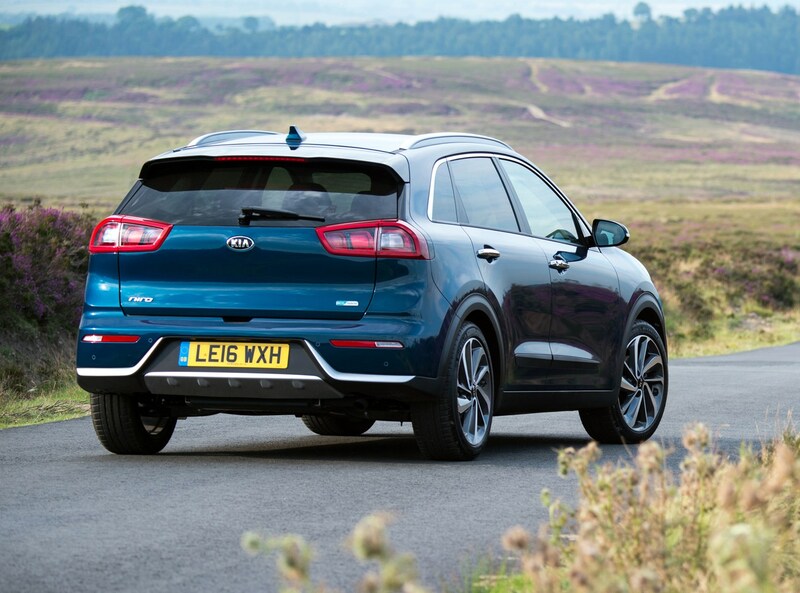 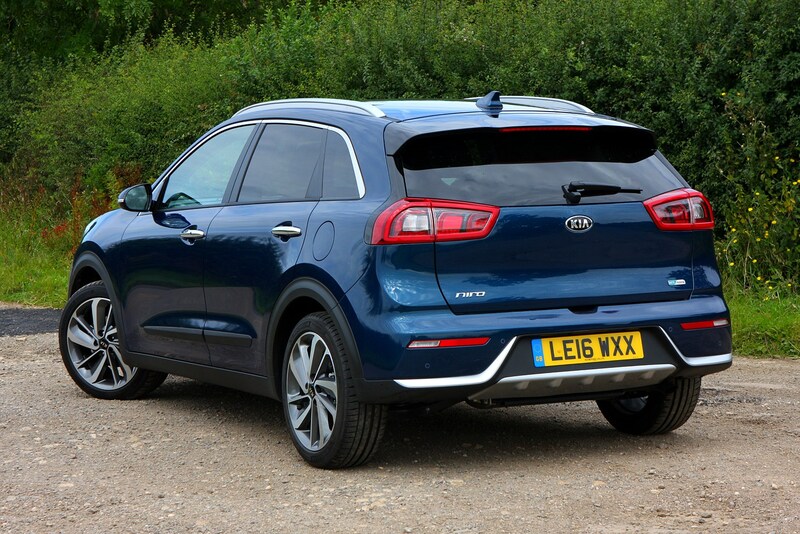 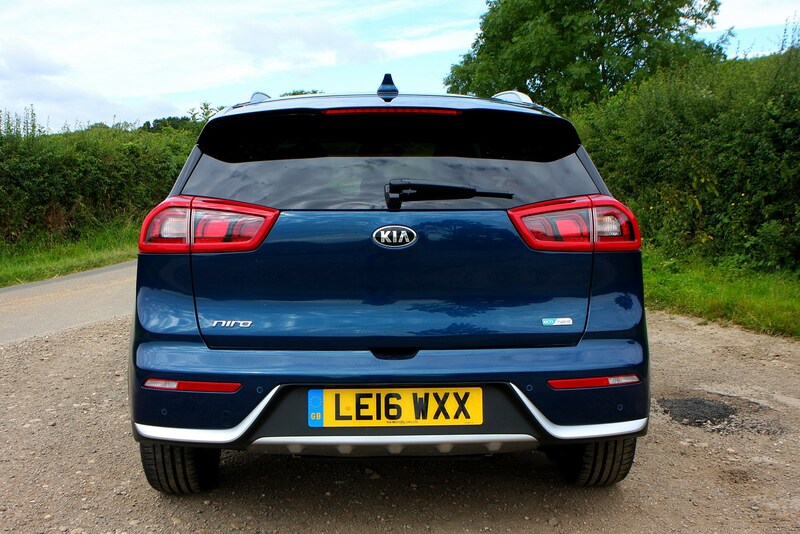 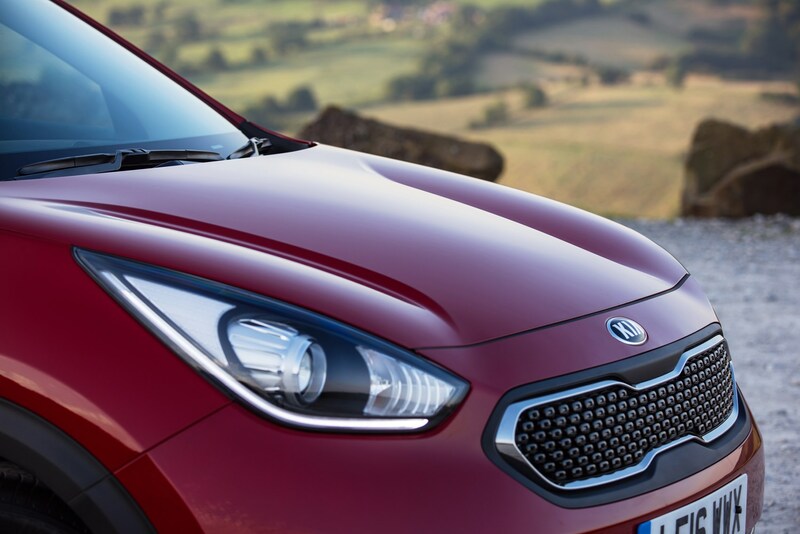 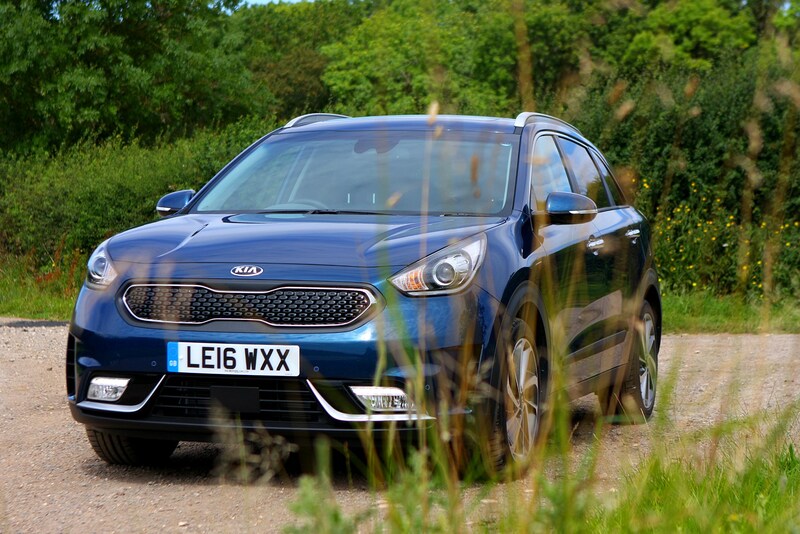 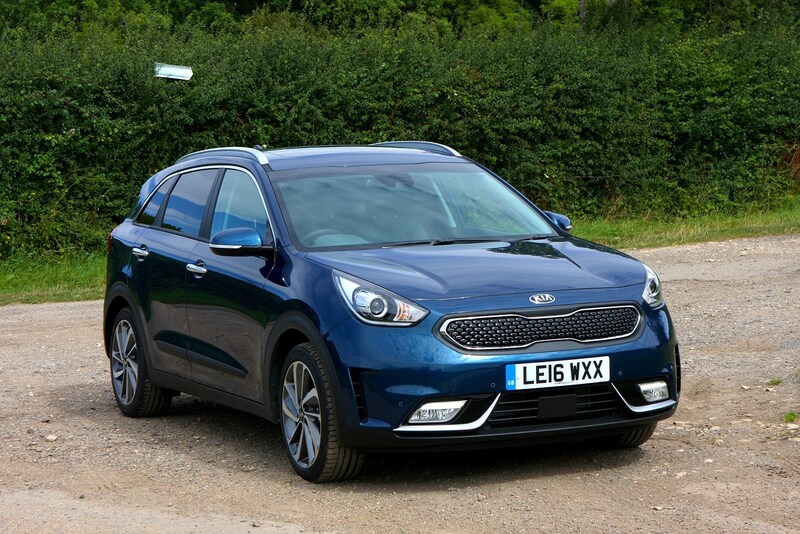 The Kia Niro starts at less than £24,000, is available with very competitive finance, and presents as an entirely companionable proposition. 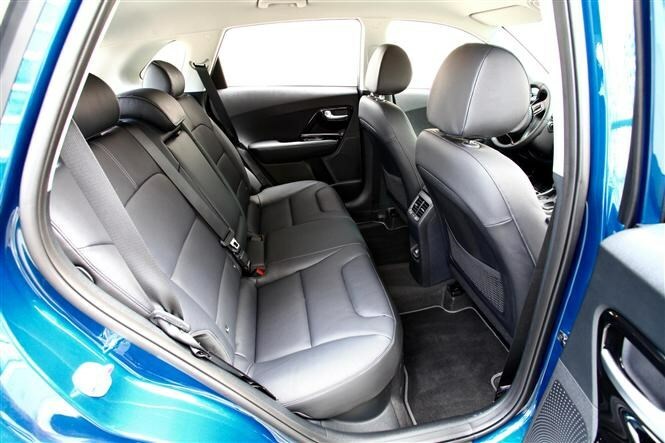 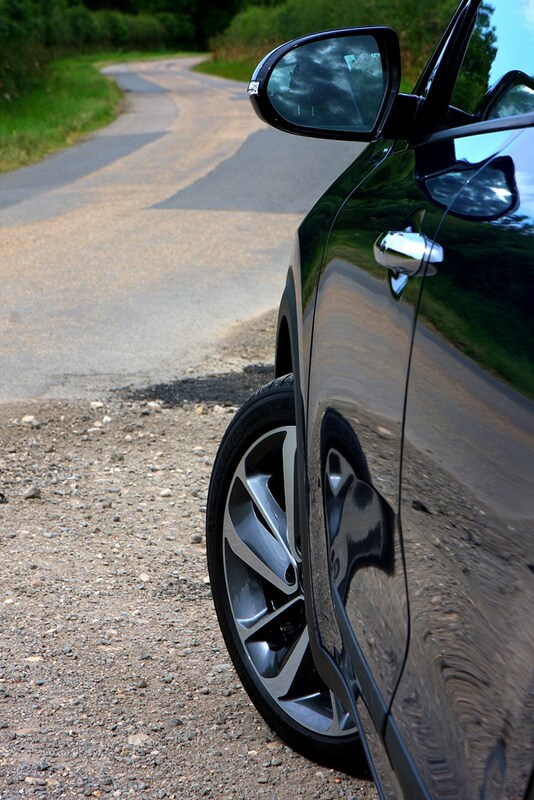 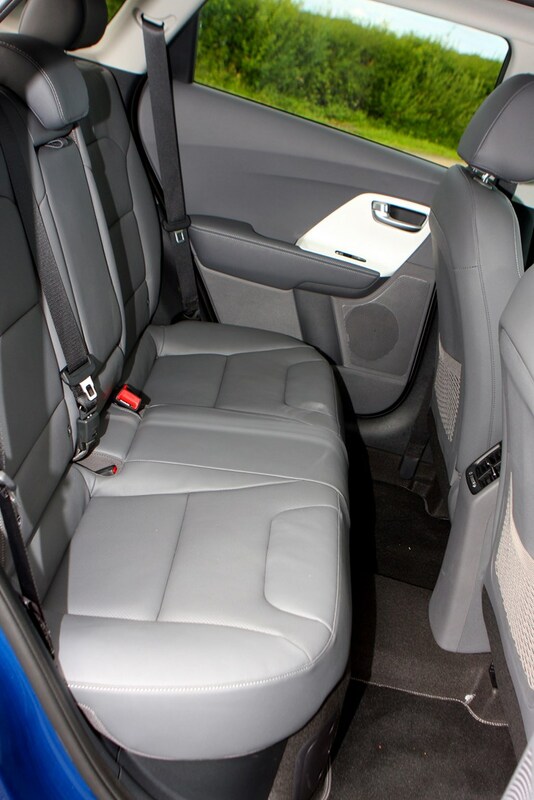 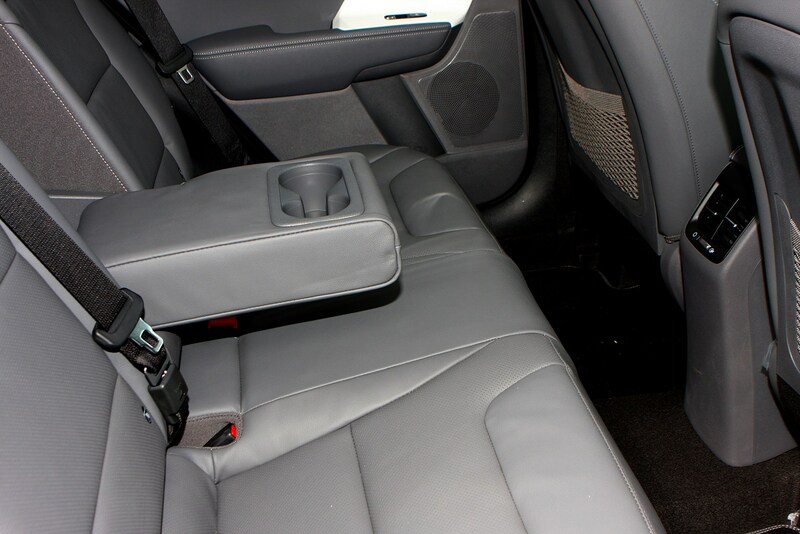 It's quiet, practical and undeniably spacious, drives smoothly and handles reasonably tidily. 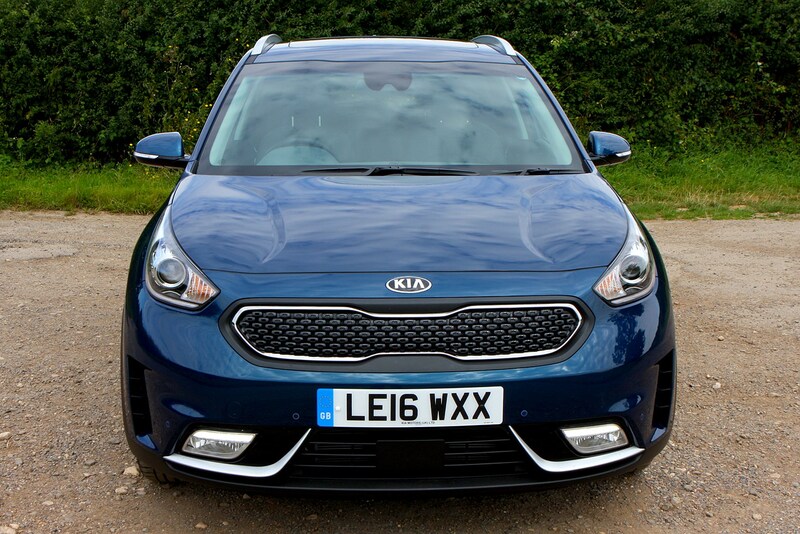 The all-electric E-Niro represents what we think is the best of the bunch, with a solid feel, peppy performance and low running costs. 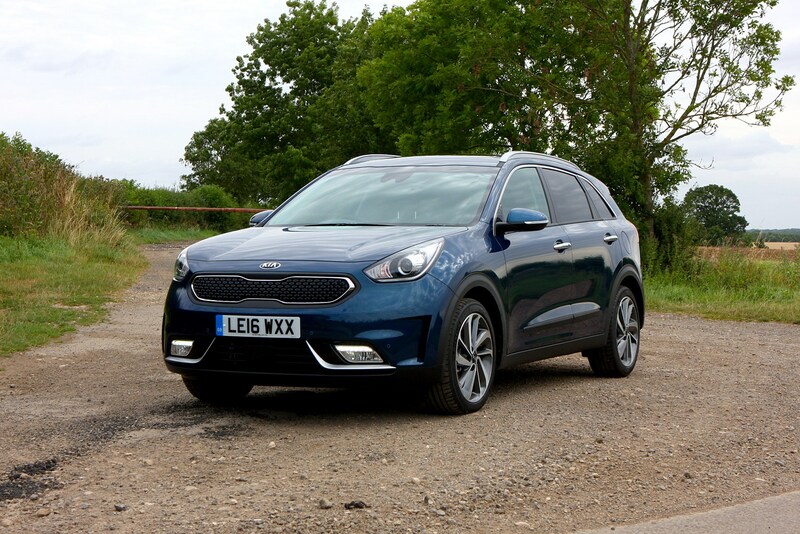 However Kia struggles to offer promising finance and the E-Niro in particular is suffers relatively high APR on its PCP deals. 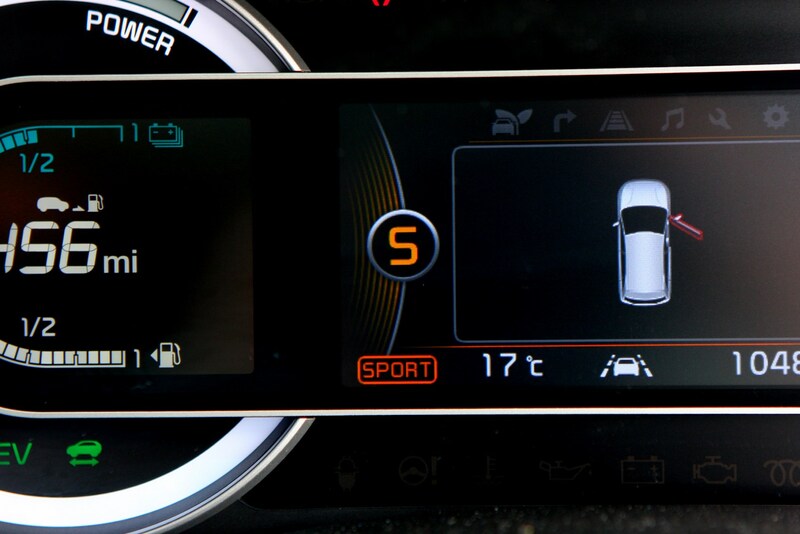 This may in theory be mitigated by a deposit contribution but make sure you do your sums and find out exactly what you’re going to be in for each month.